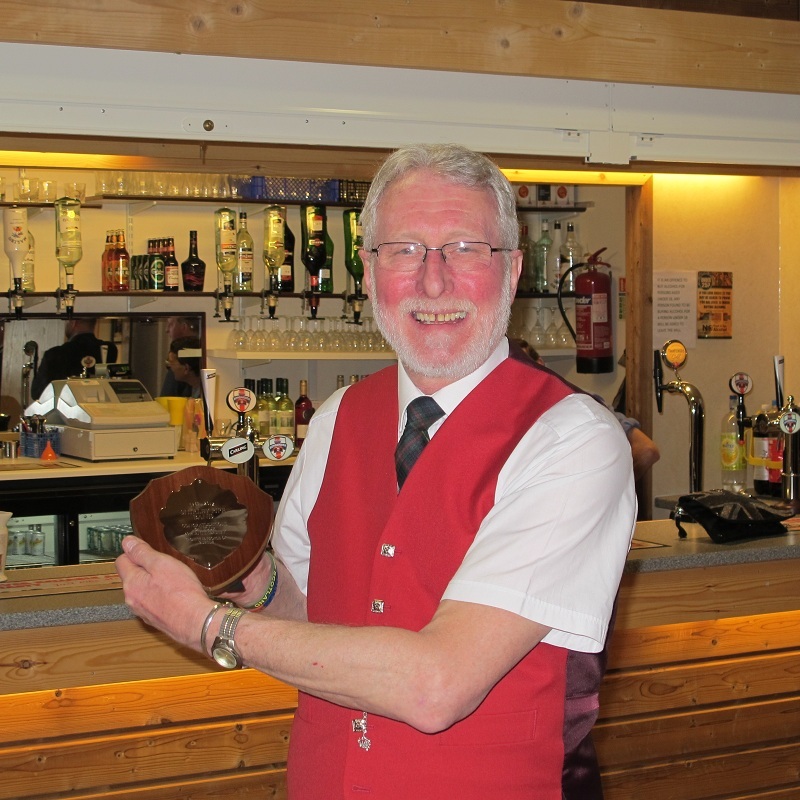 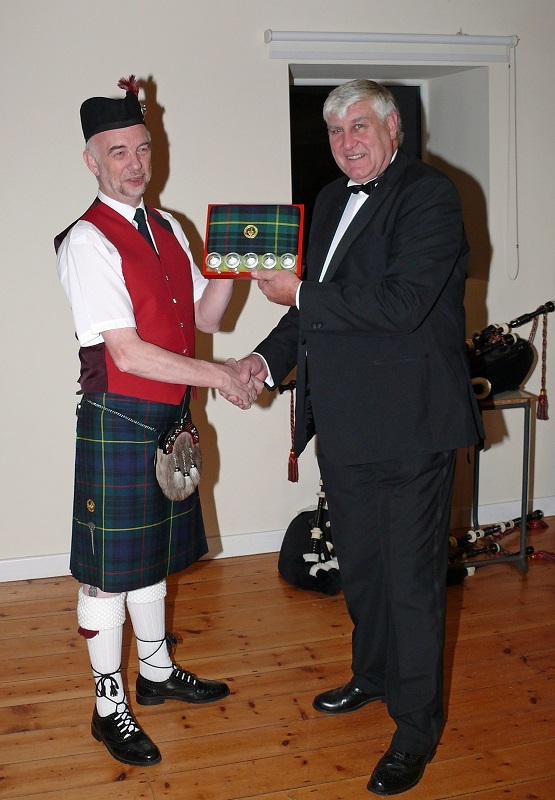 Presentation: Dave Mellor (Chairman) presents Tony Spiller (event organiser) with a Shirley Pipe Band memorial badge, framed in a manner befitting Burtle Village Hall. 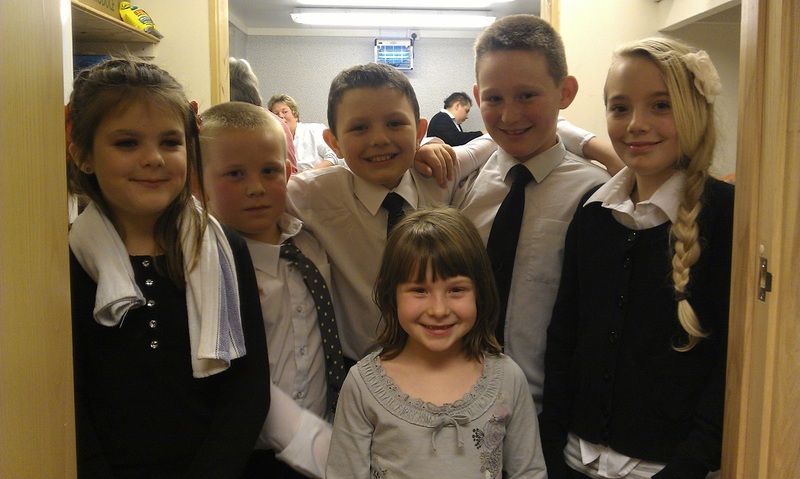 Video on YouTube. 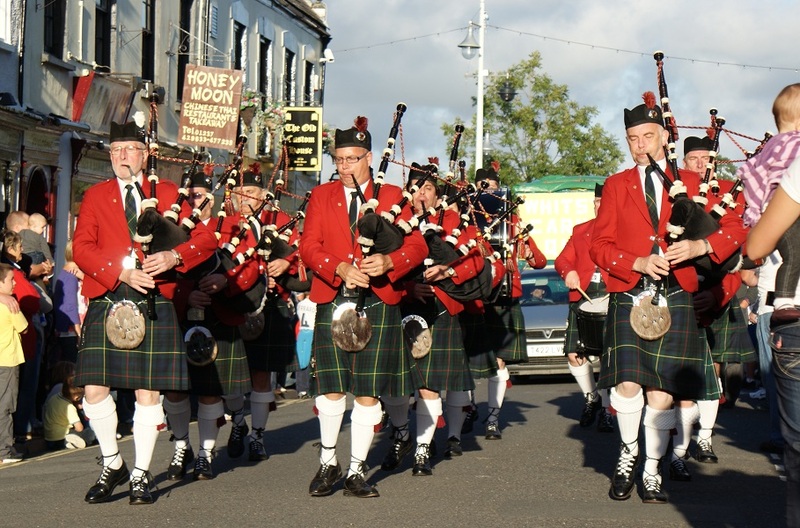 If your broadband is reasonbly fast, try increasing the resolution / quality via the "cog" icon at bottom right of the image, then switching to full screen. 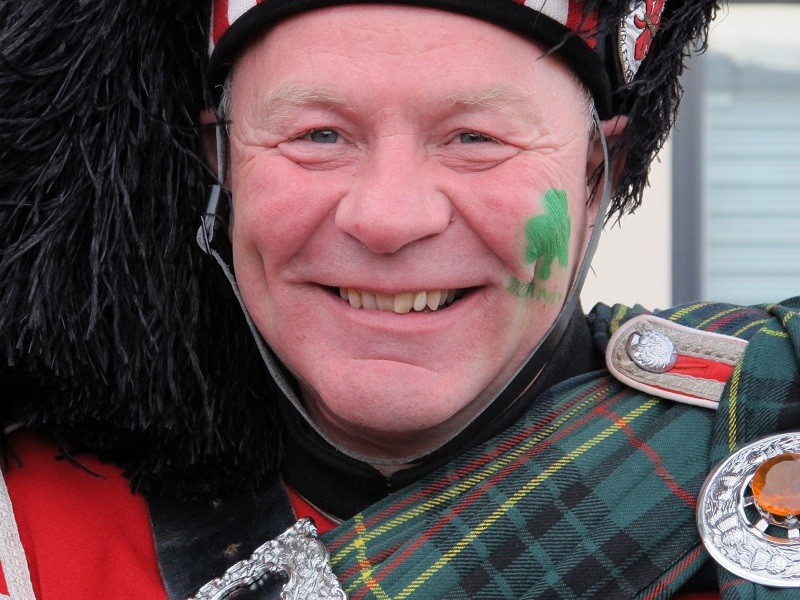 Video on YouTube BonnetCam Operator: Allan Baxter. 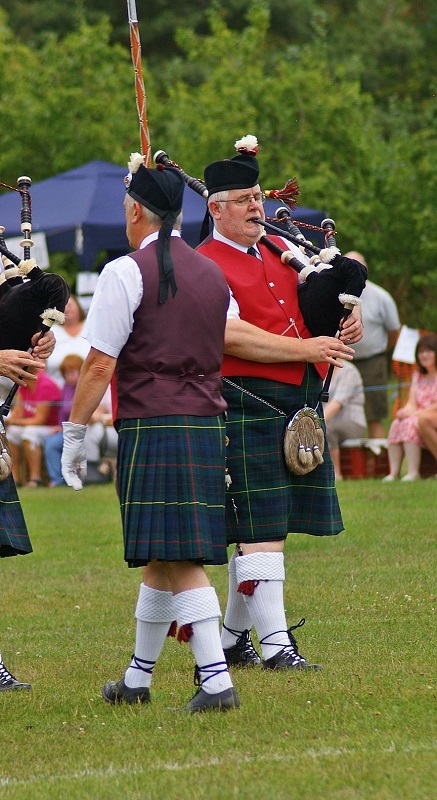 If your broadband is reasonbly fast, try increasing the resolution / quality via the "cog" icon at bottom right of the image, then switching to full screen. 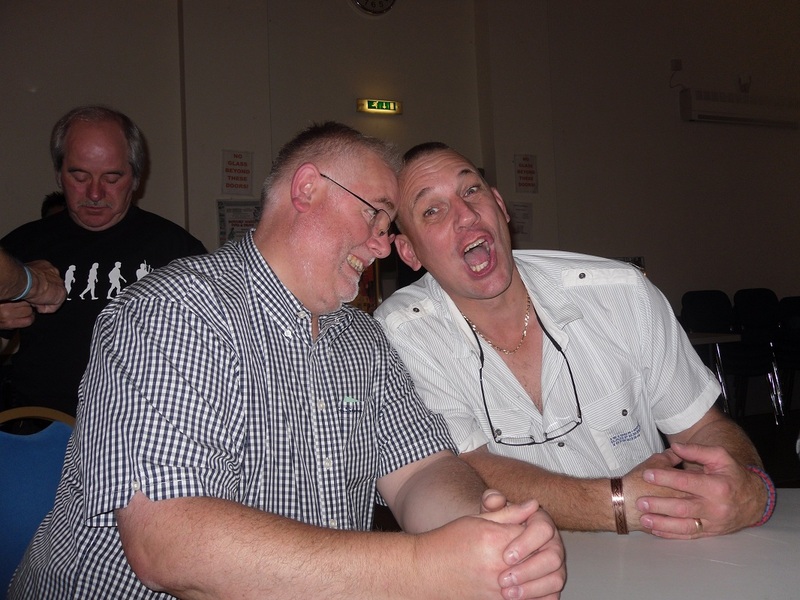 Videos on YouTube - photos to be added to Galley "soon". 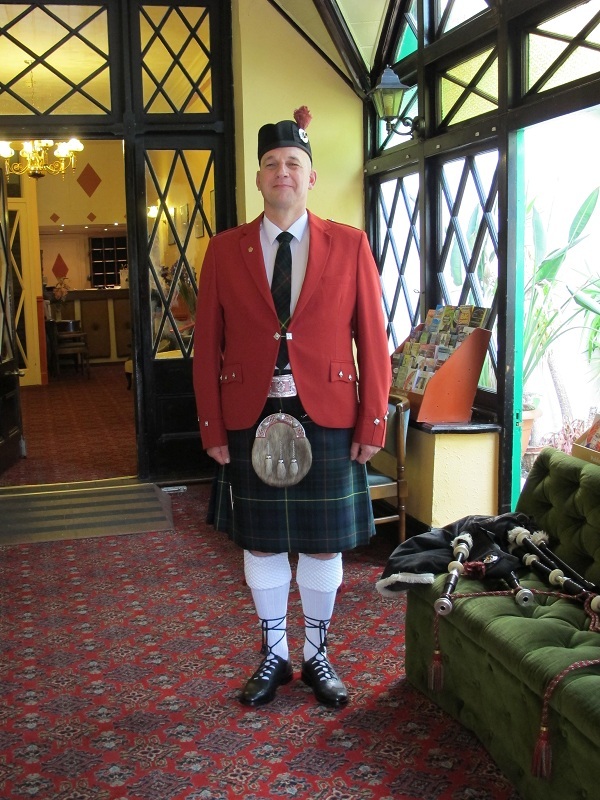 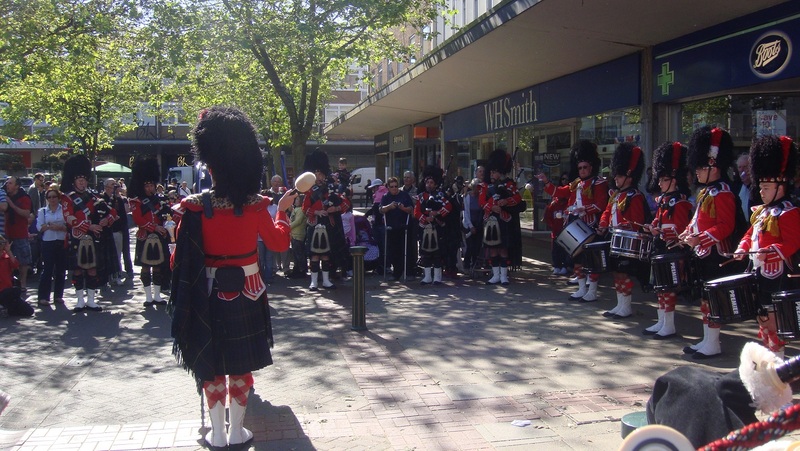 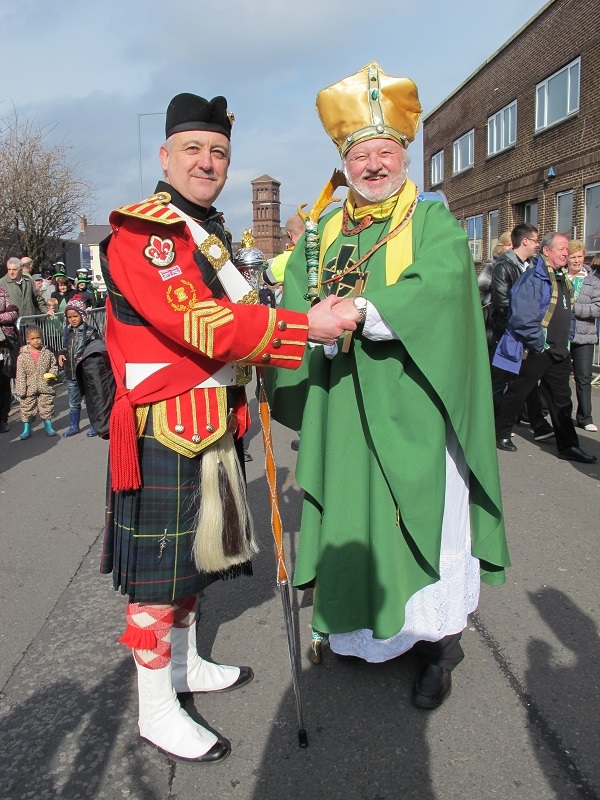 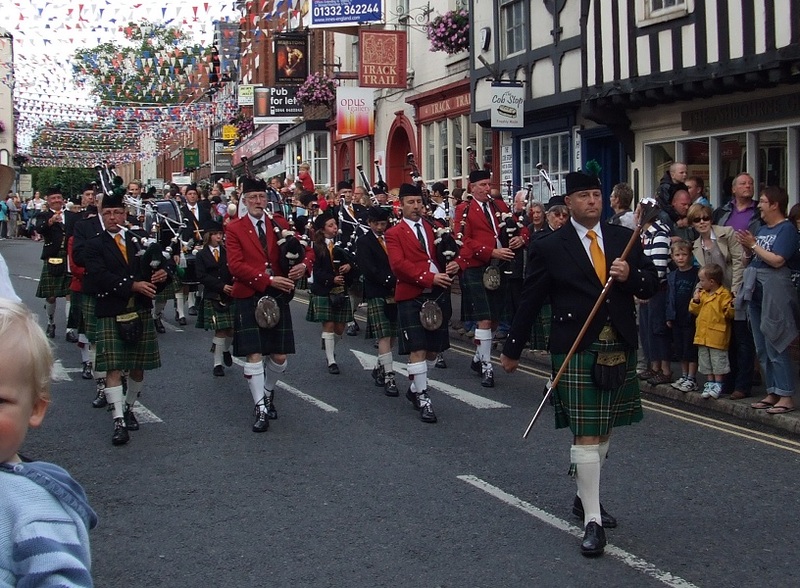 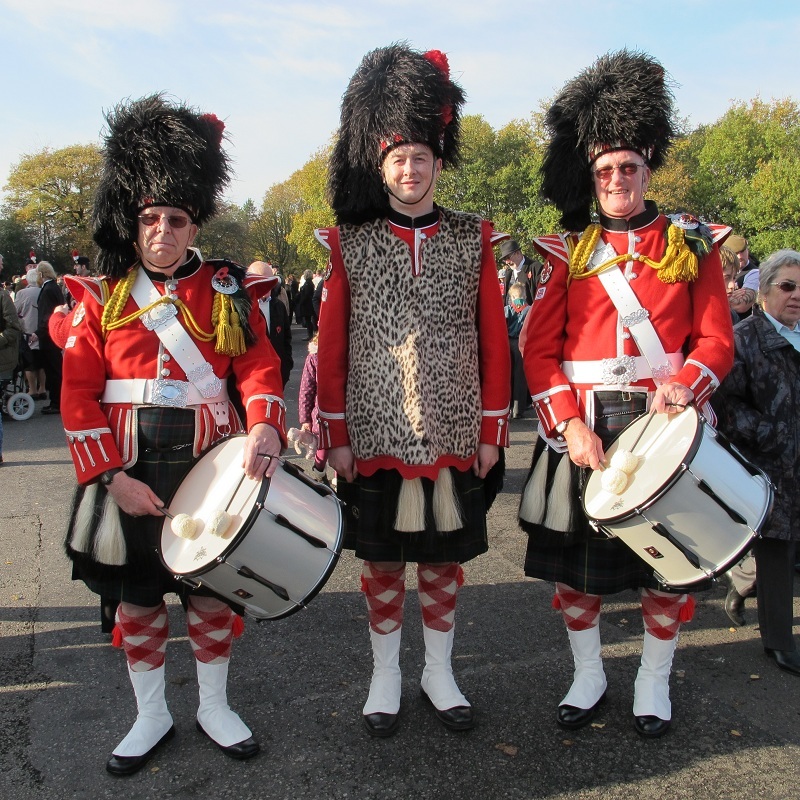 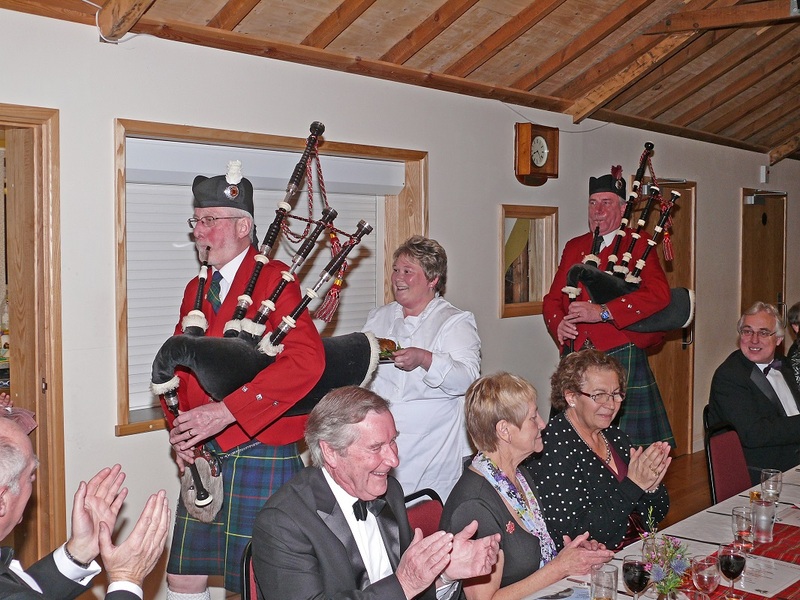 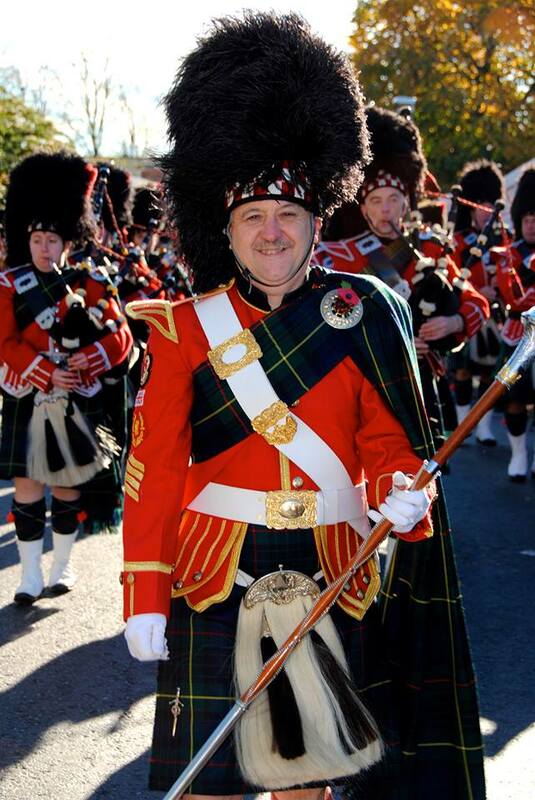 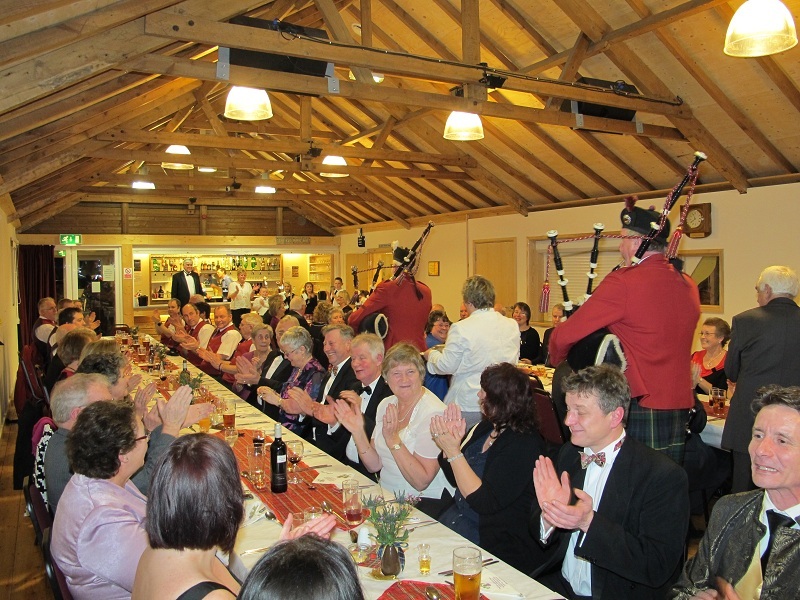 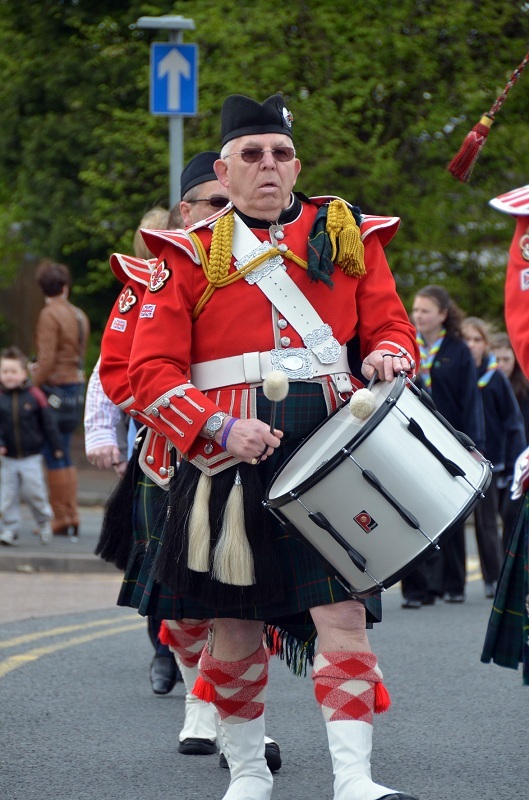 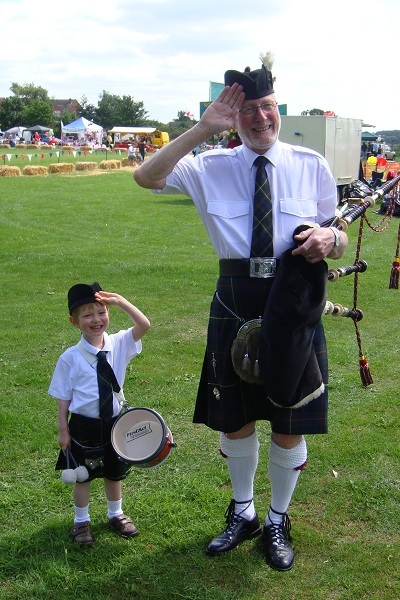 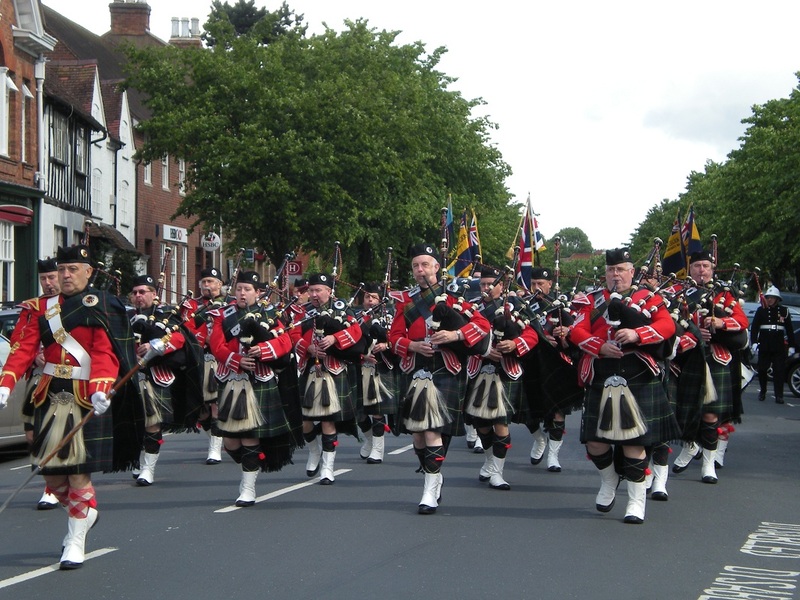 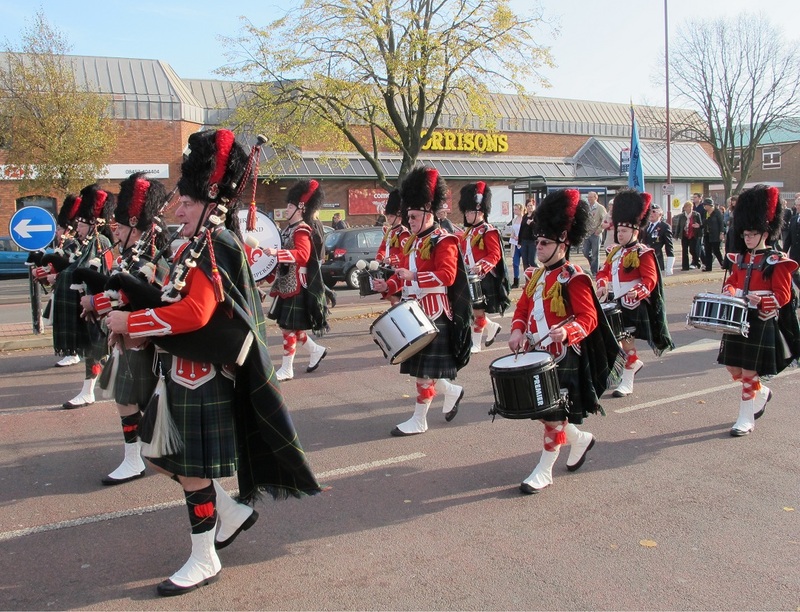 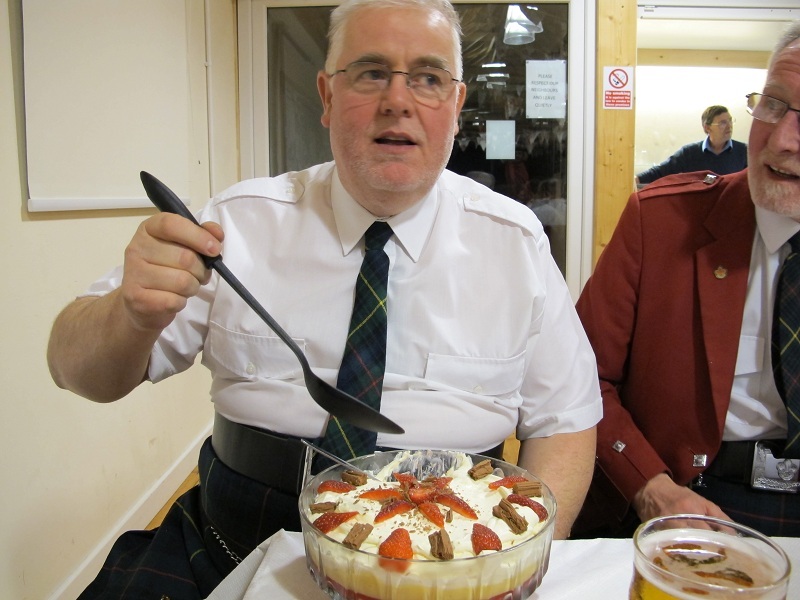 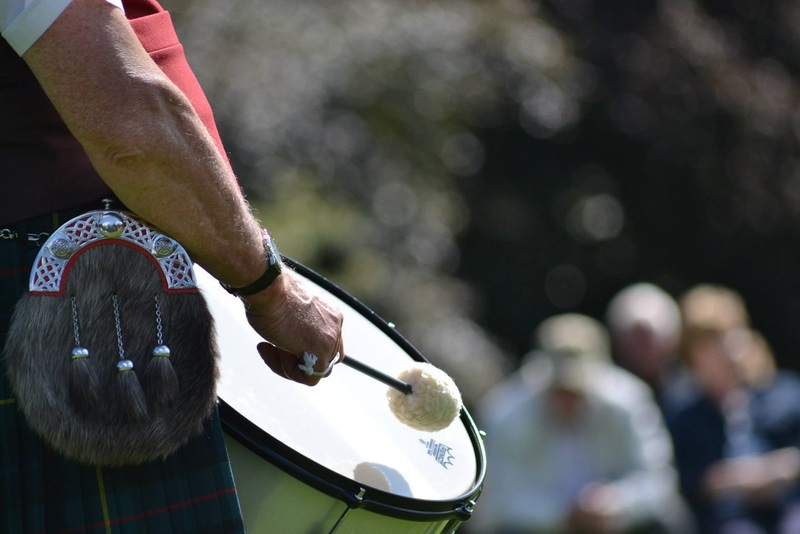 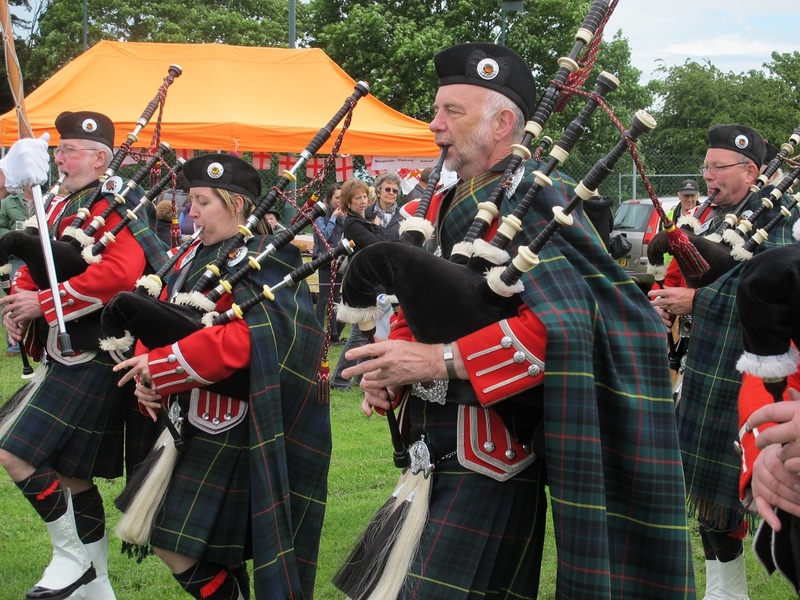 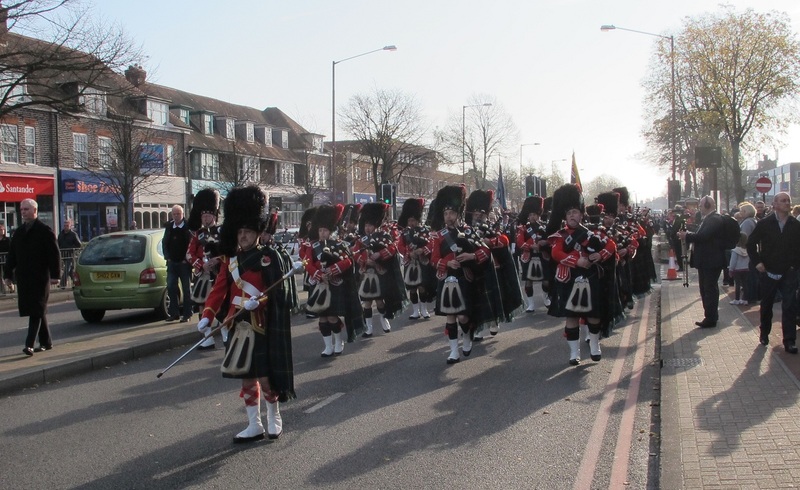 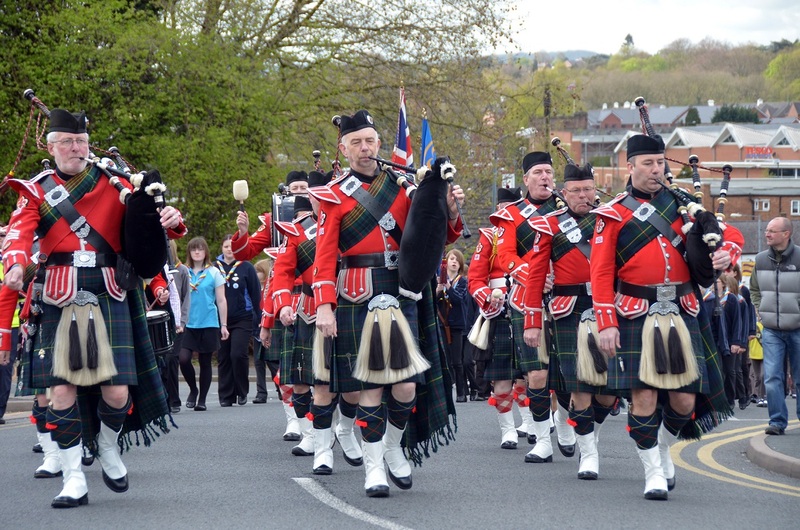 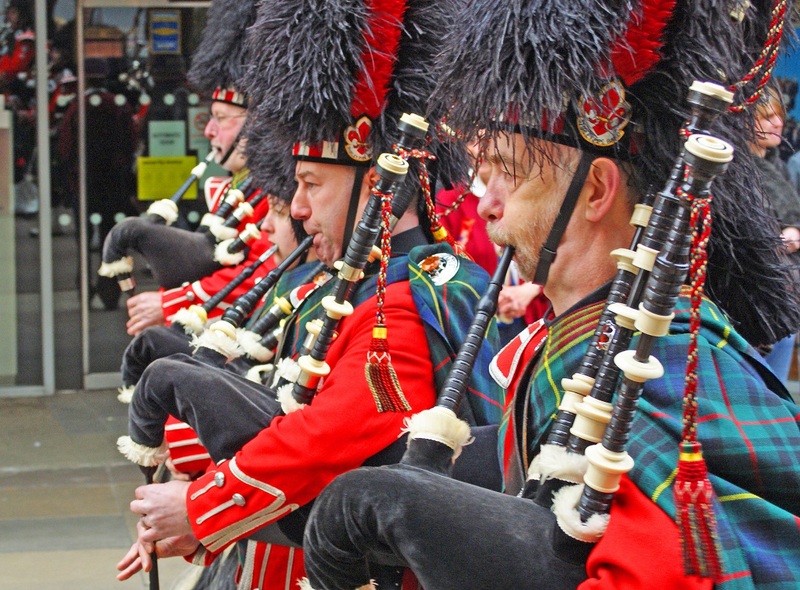 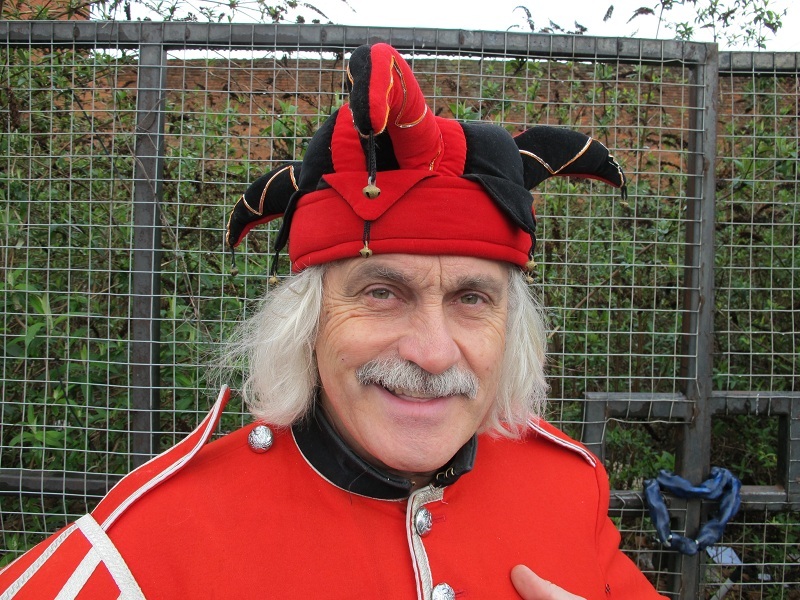 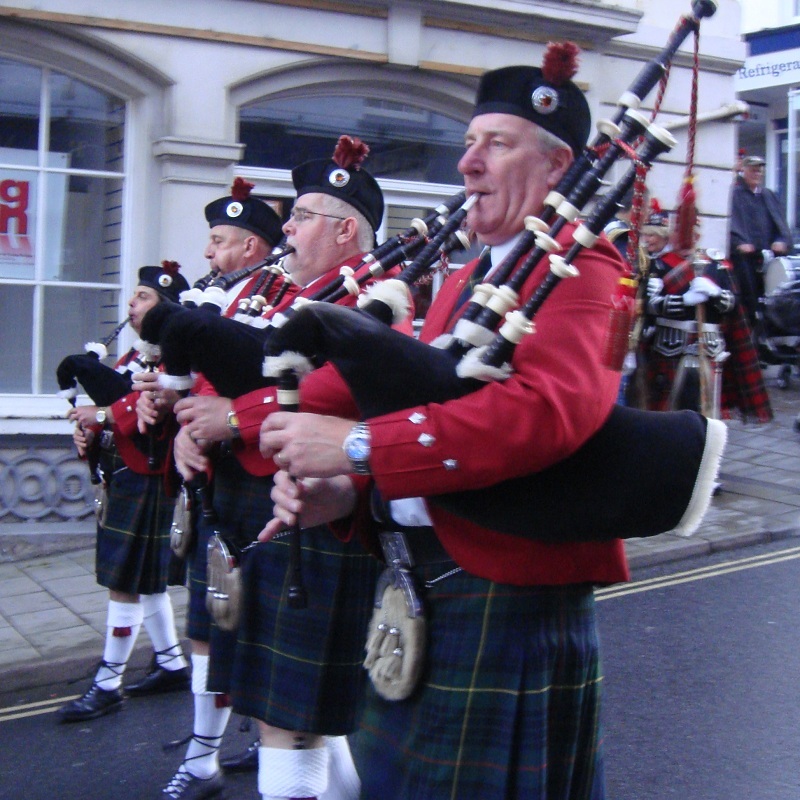 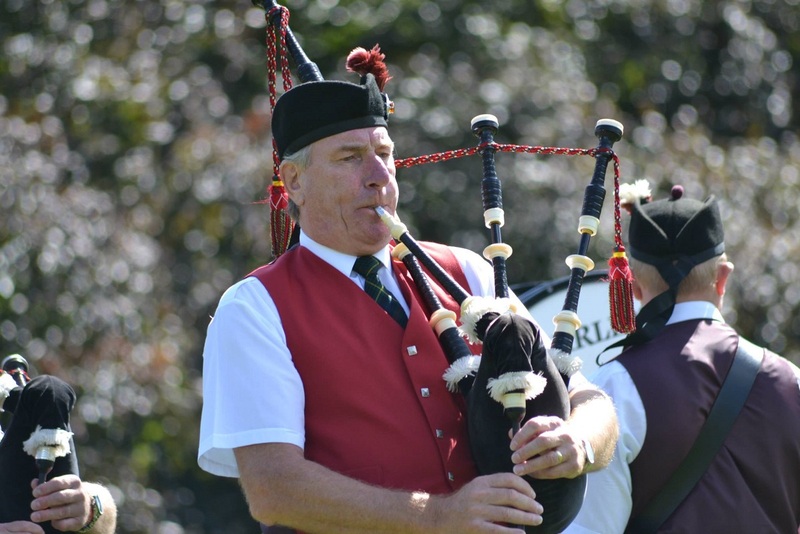 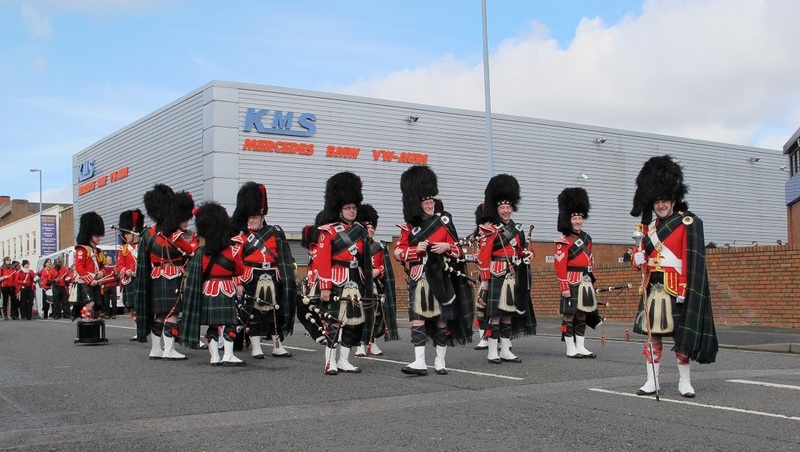 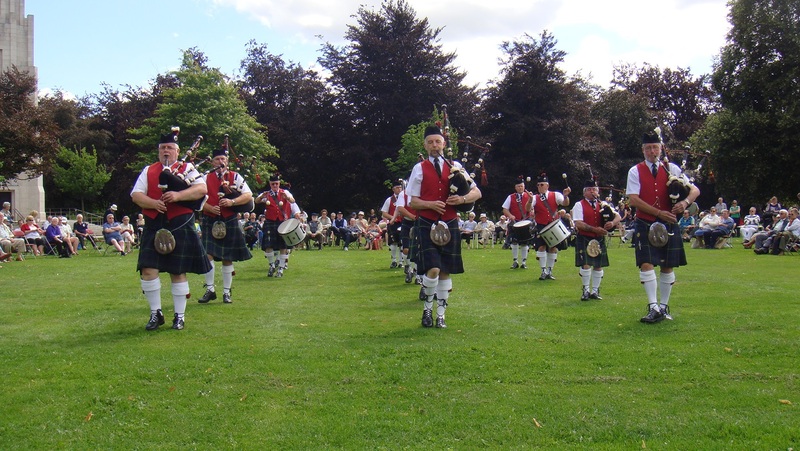 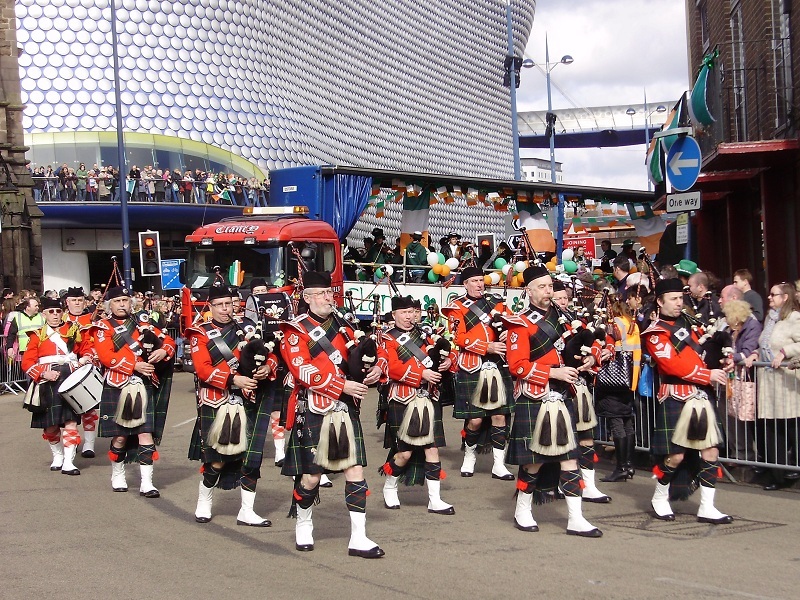 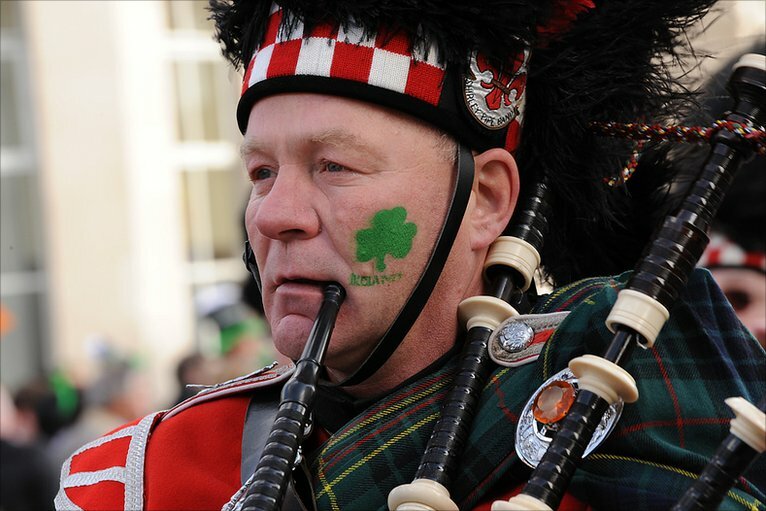 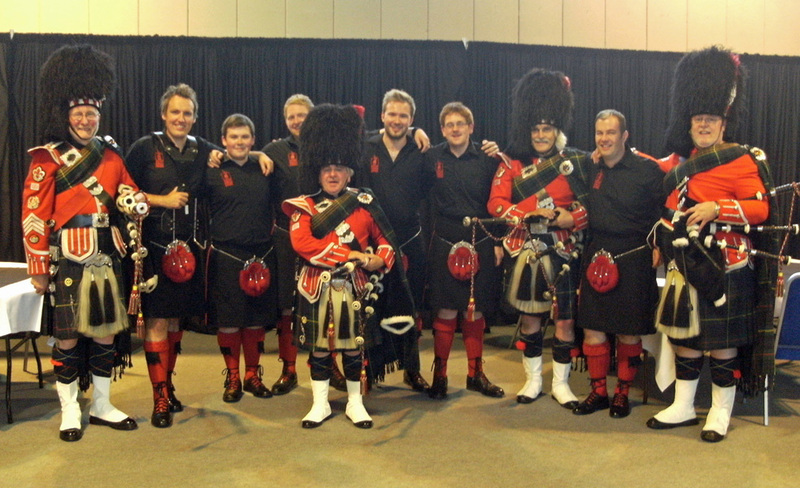 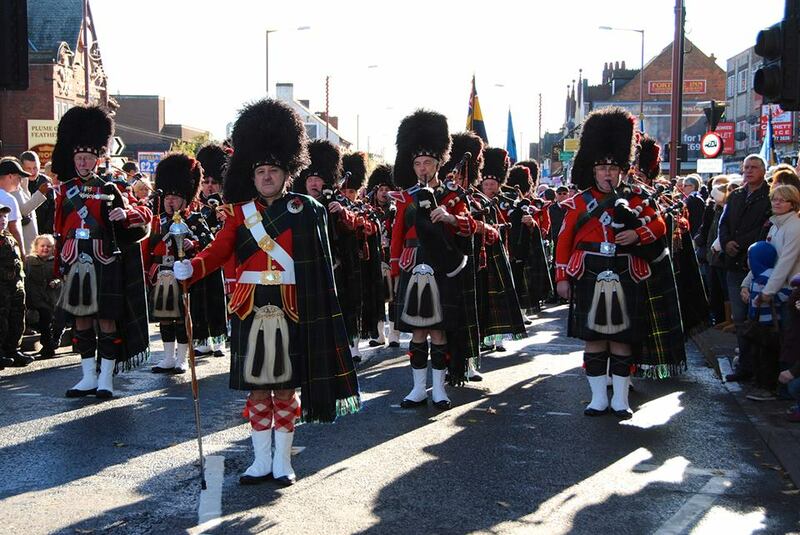 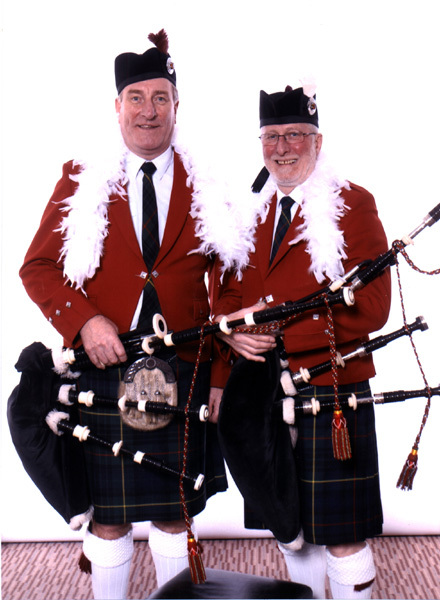 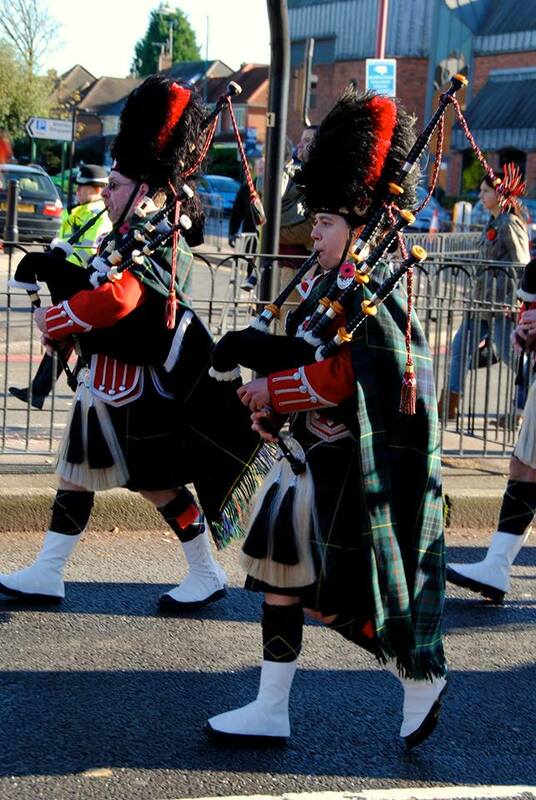 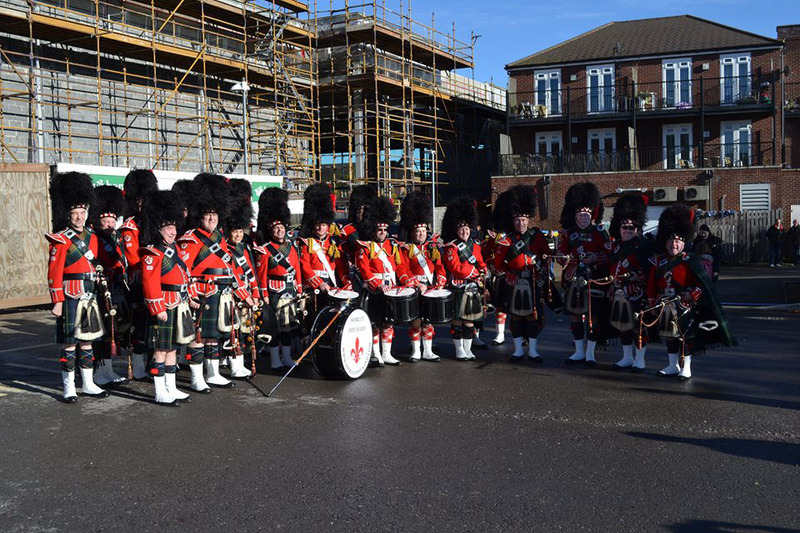 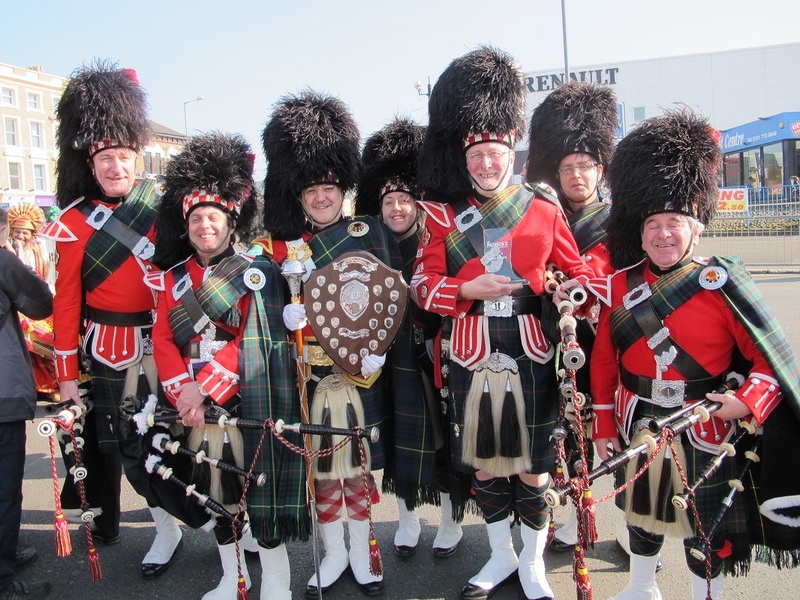 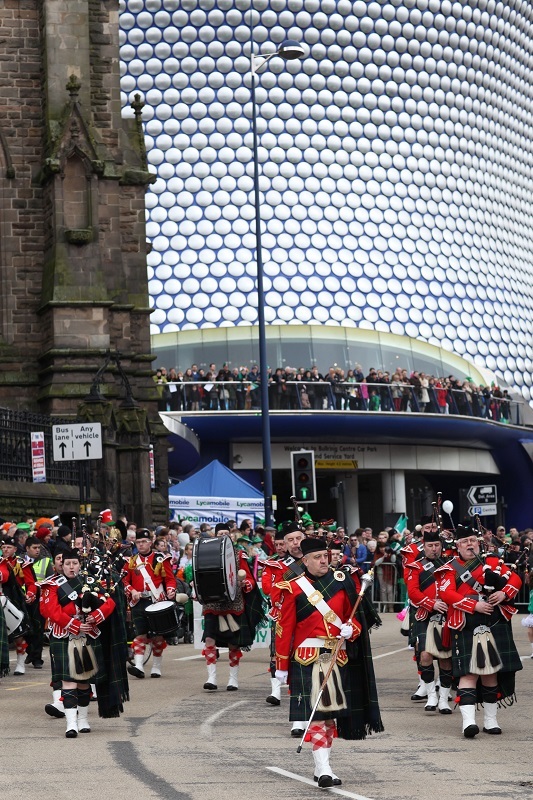 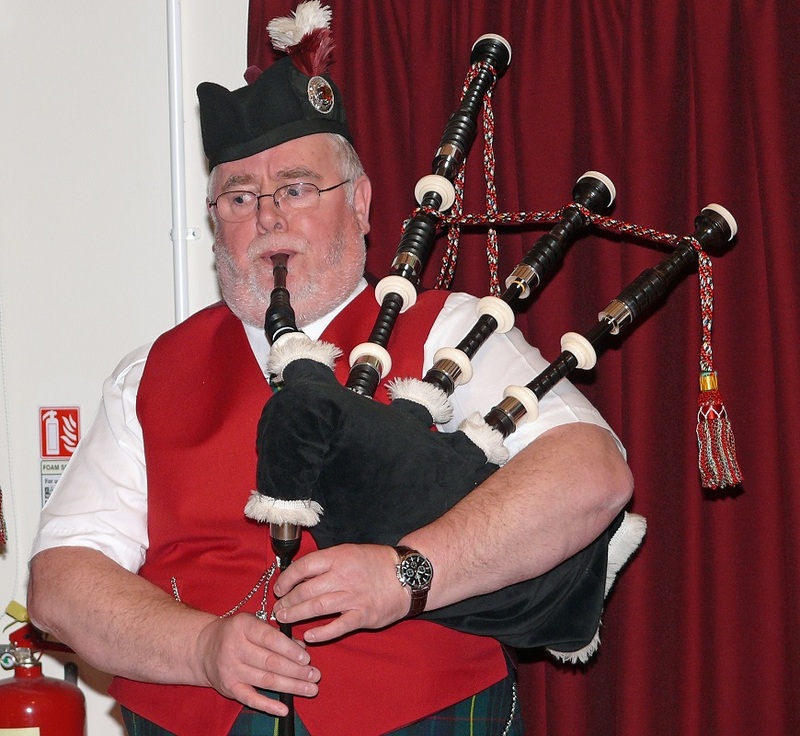 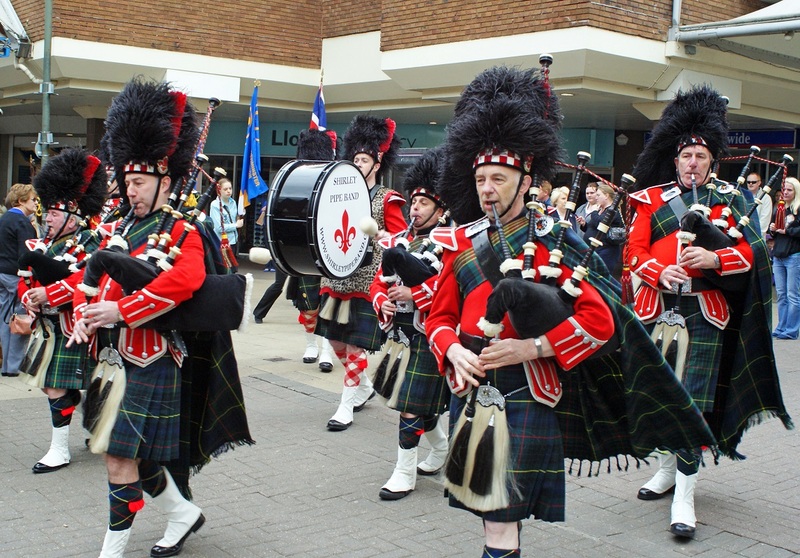 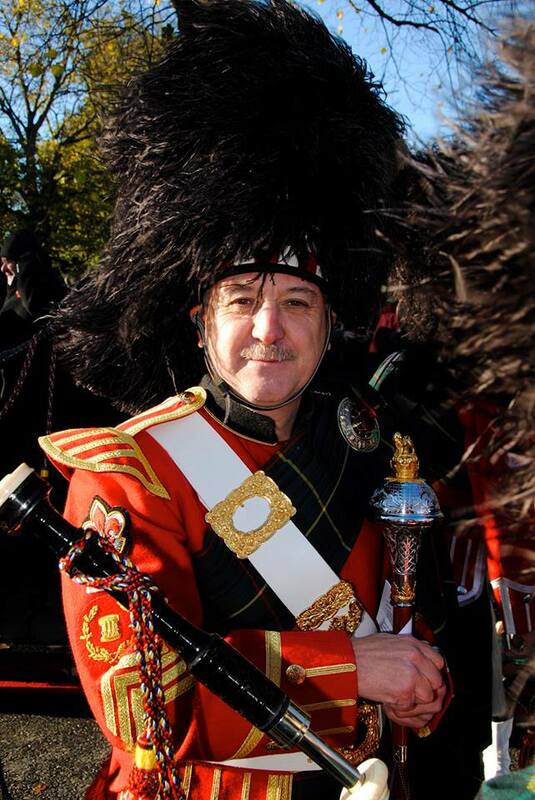 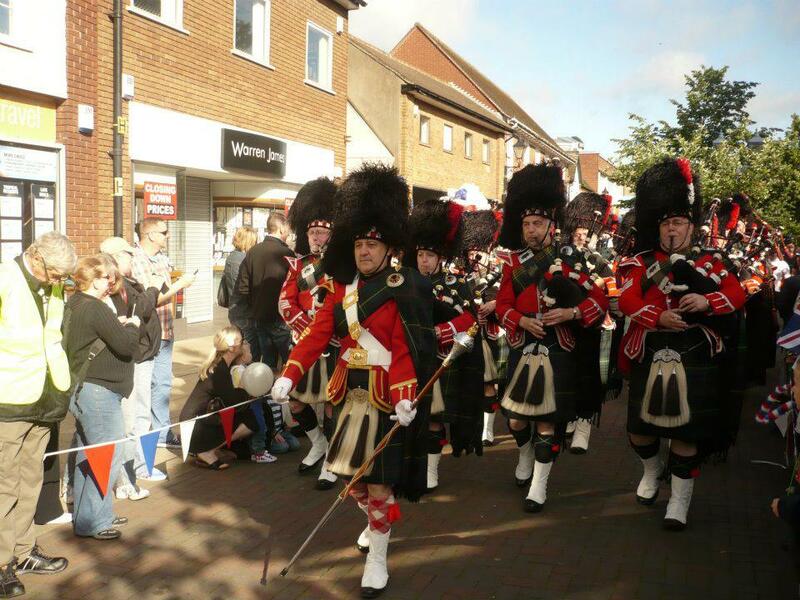 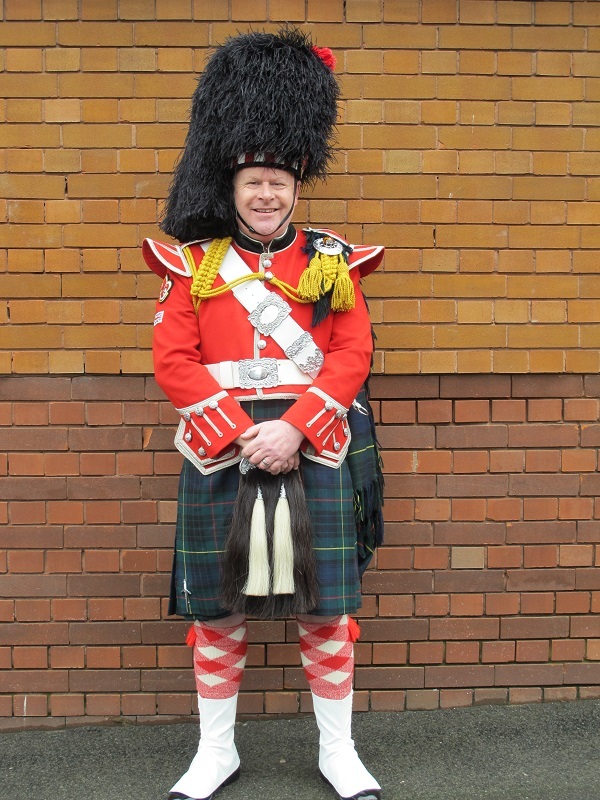 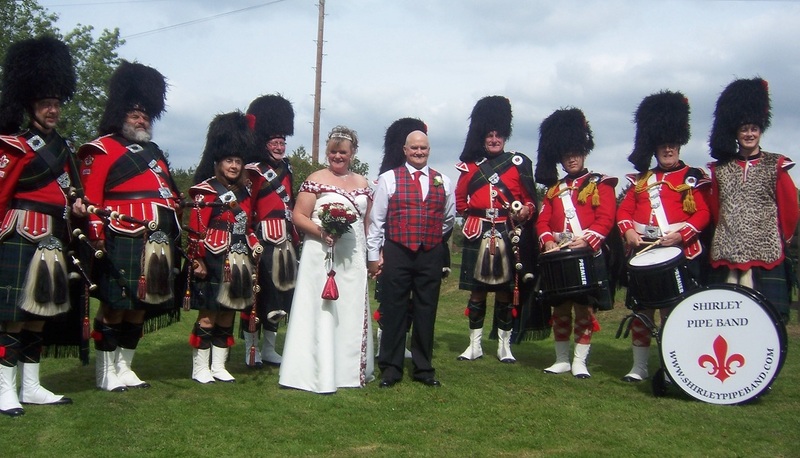 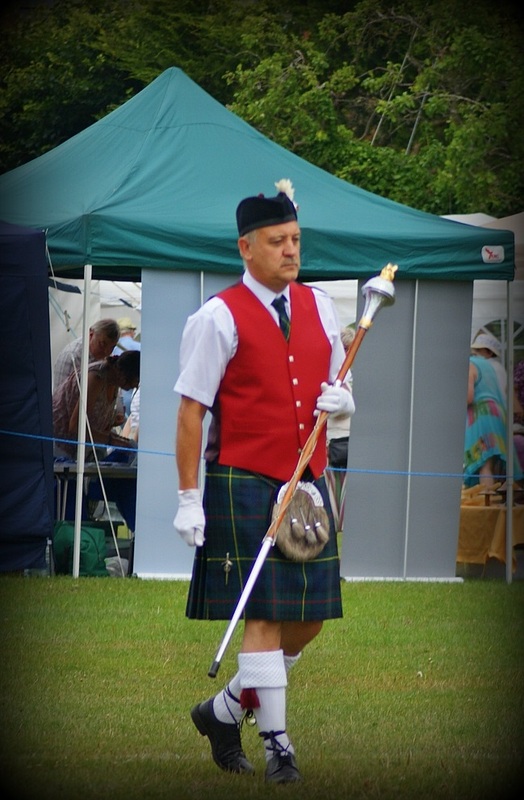 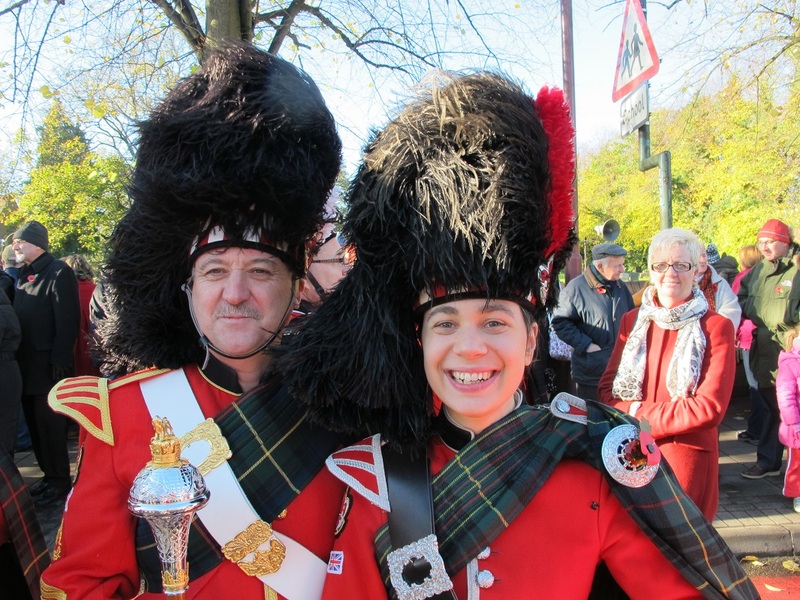 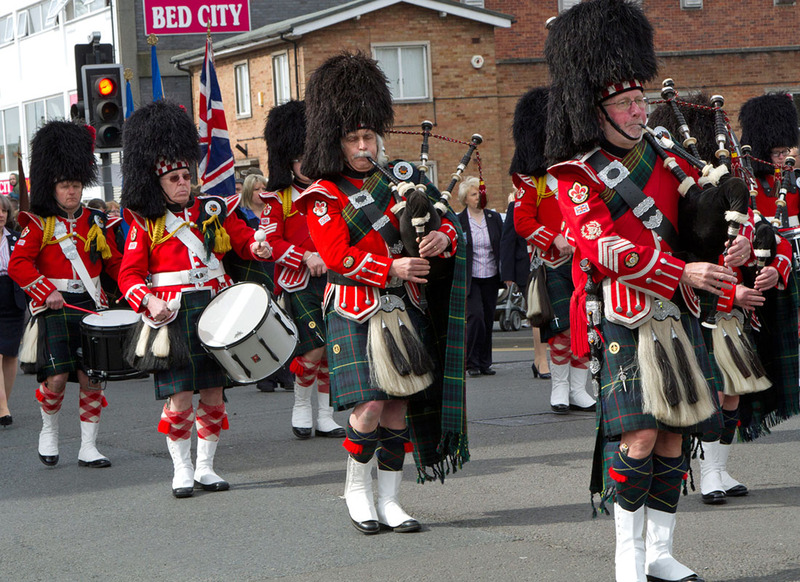 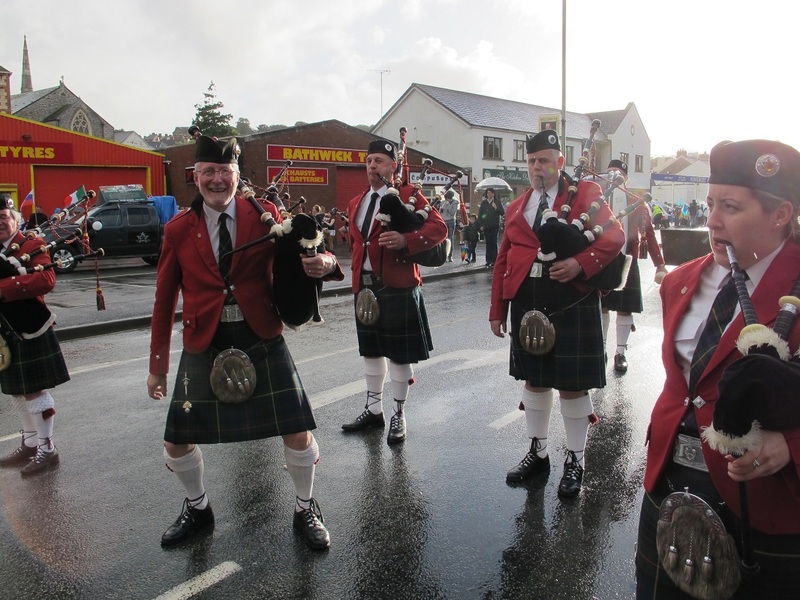 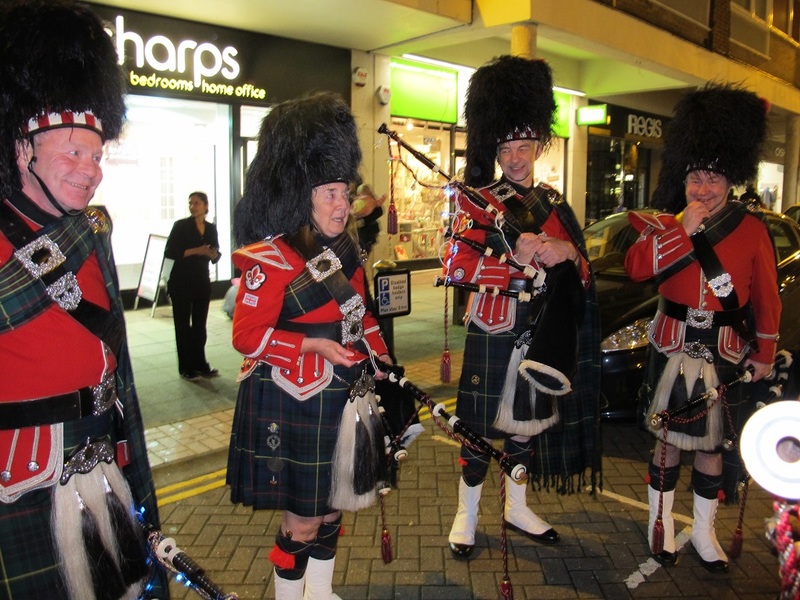 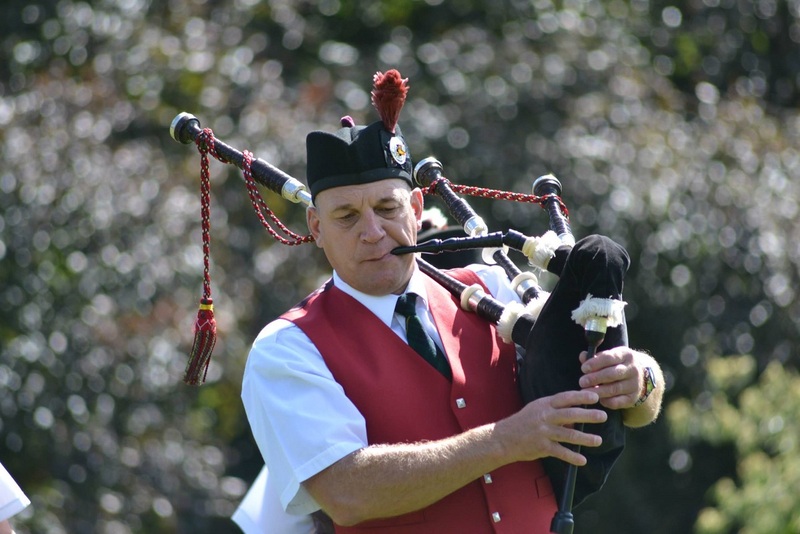 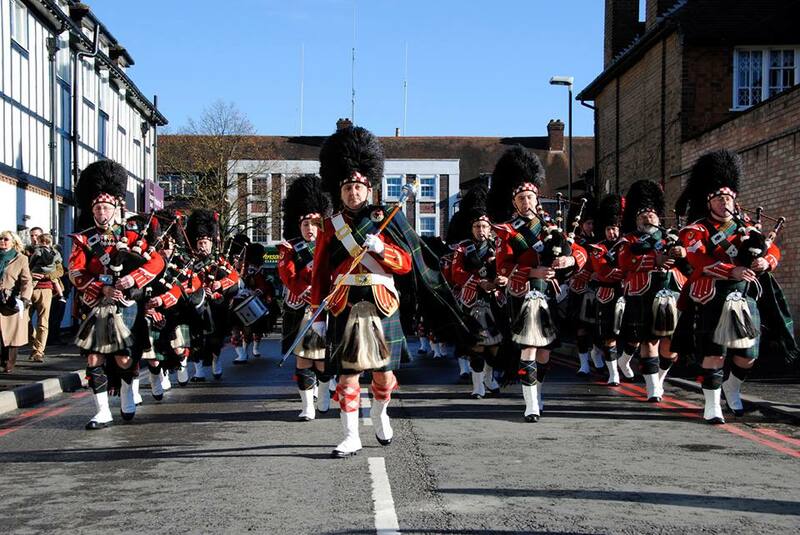 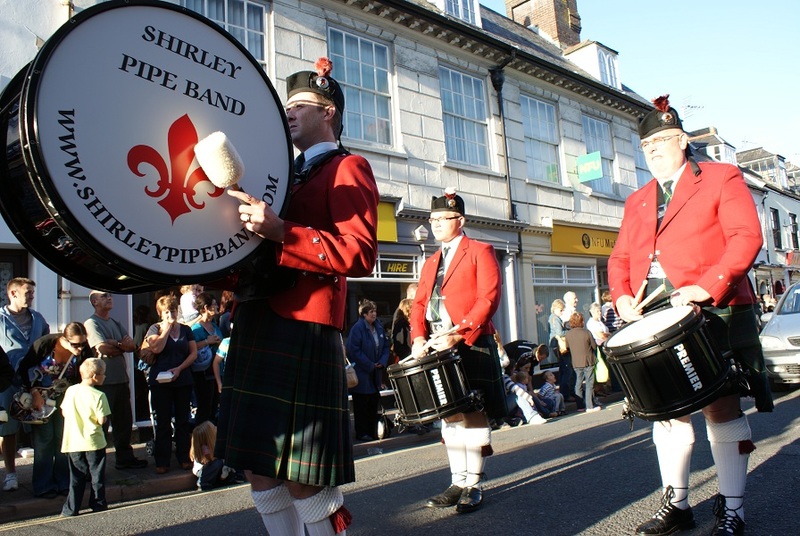 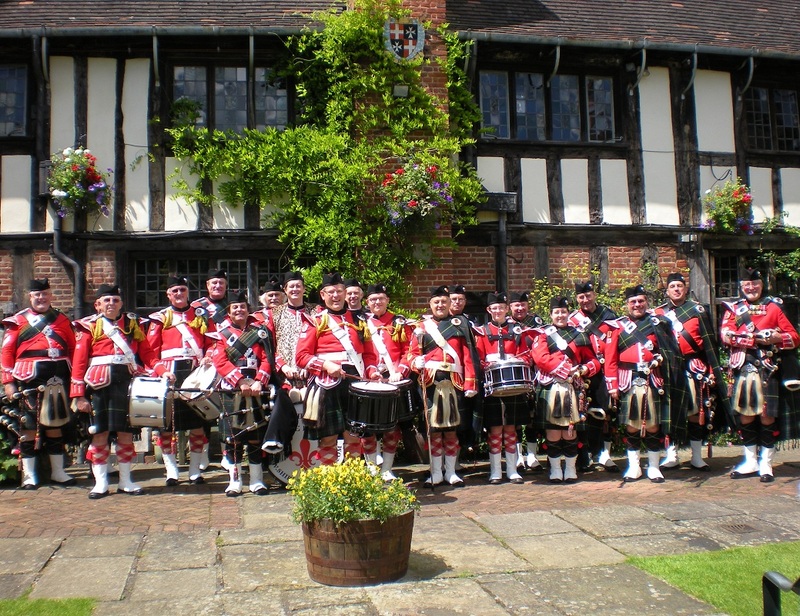 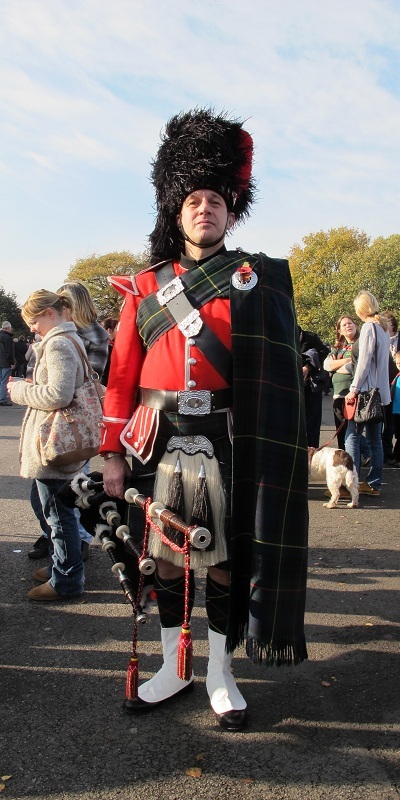 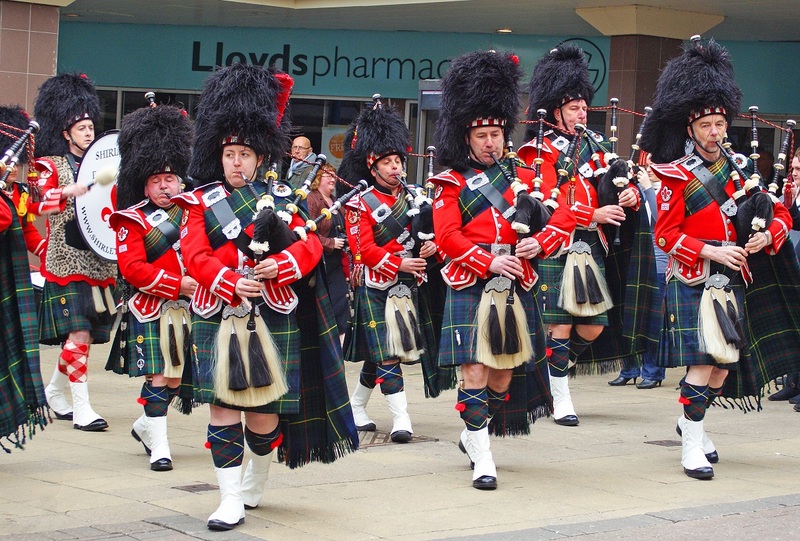 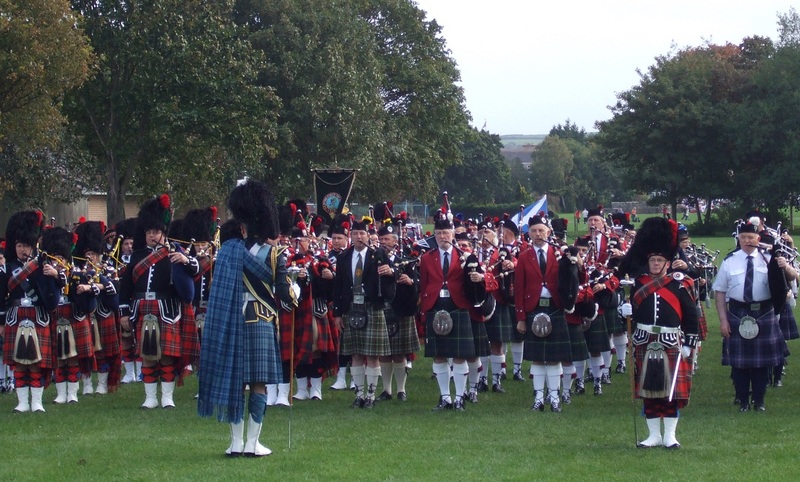 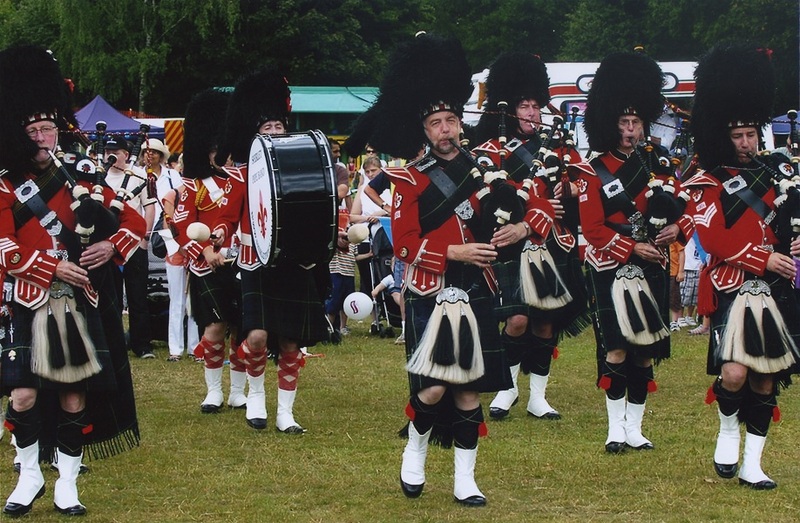 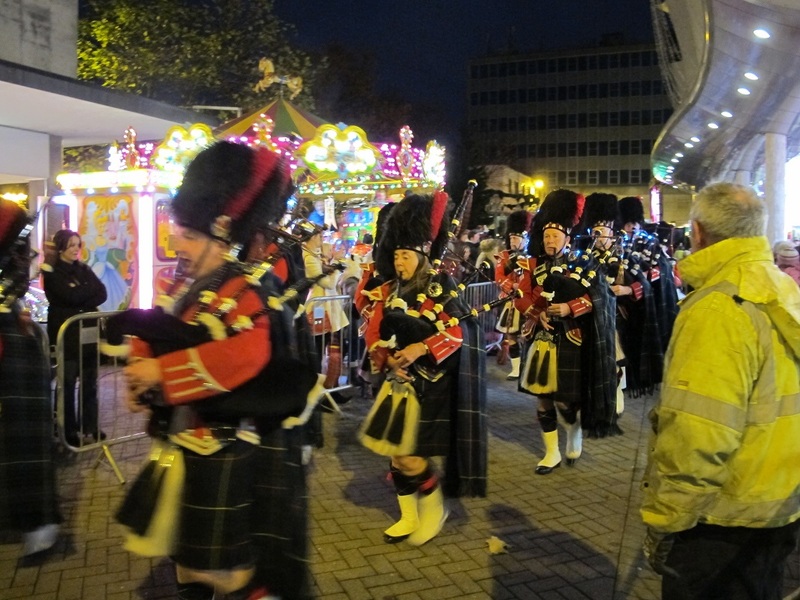 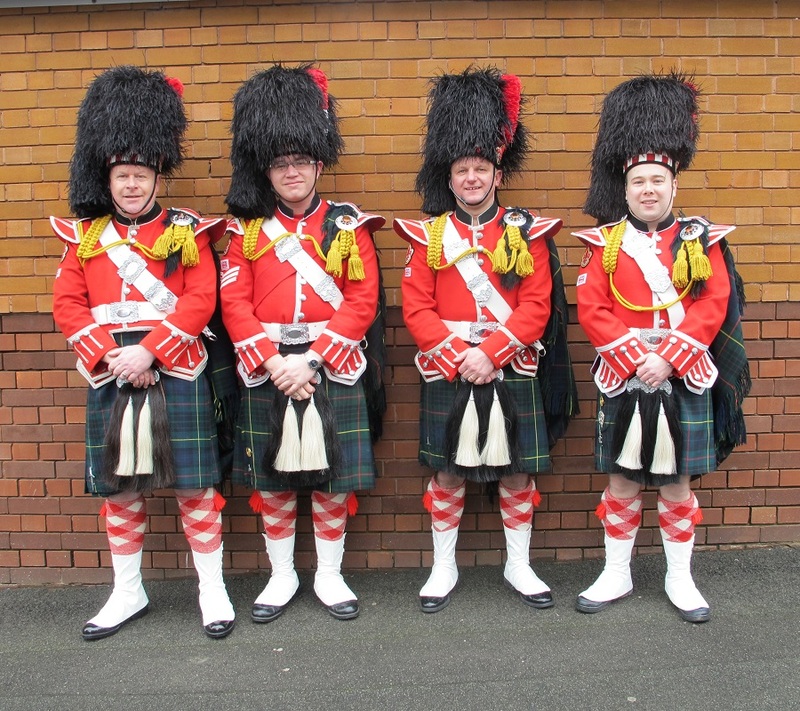 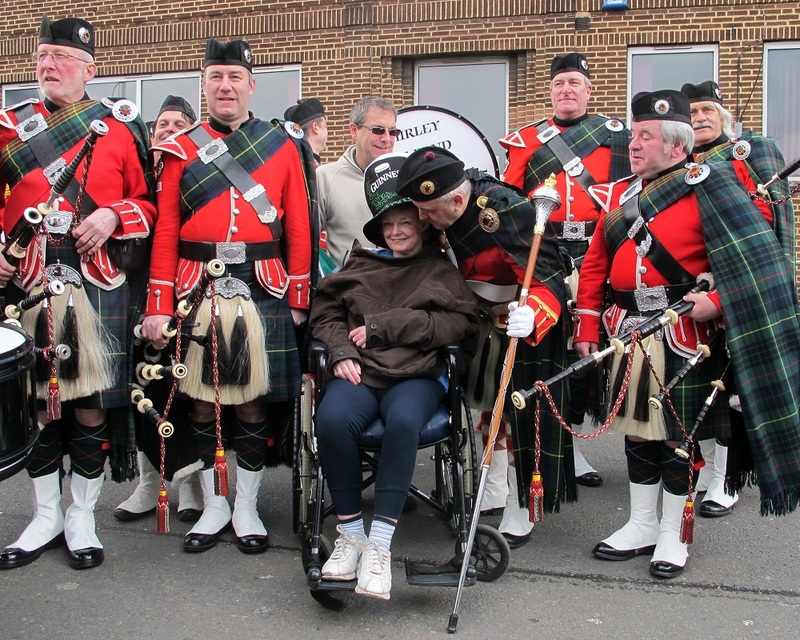 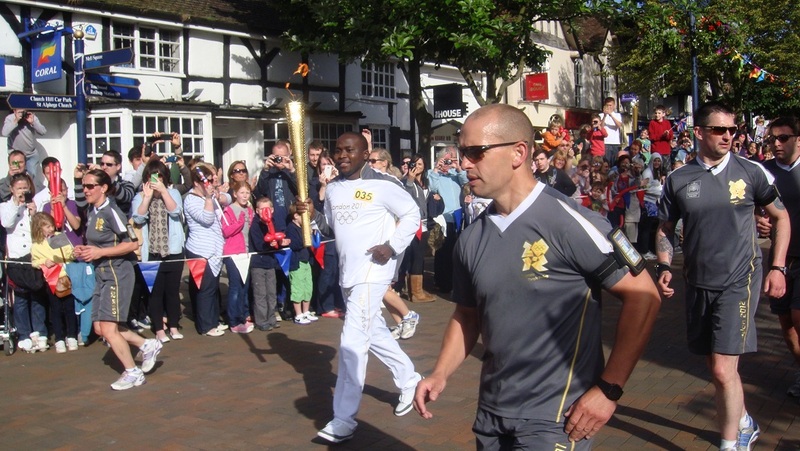 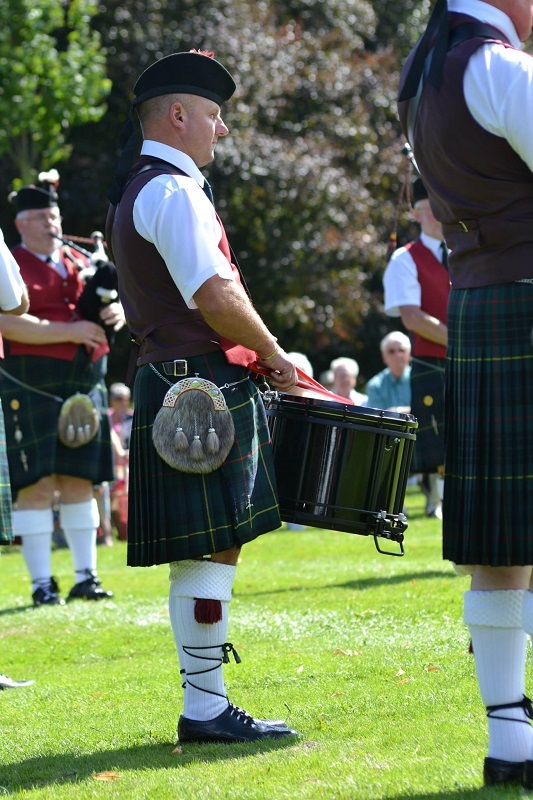 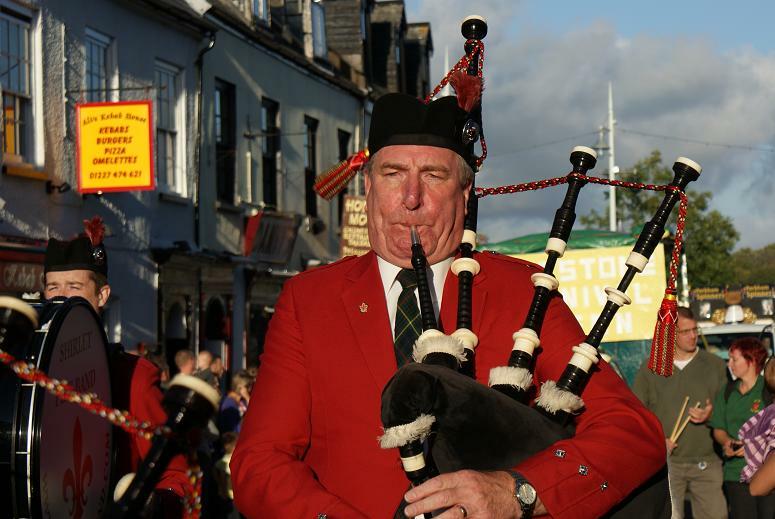 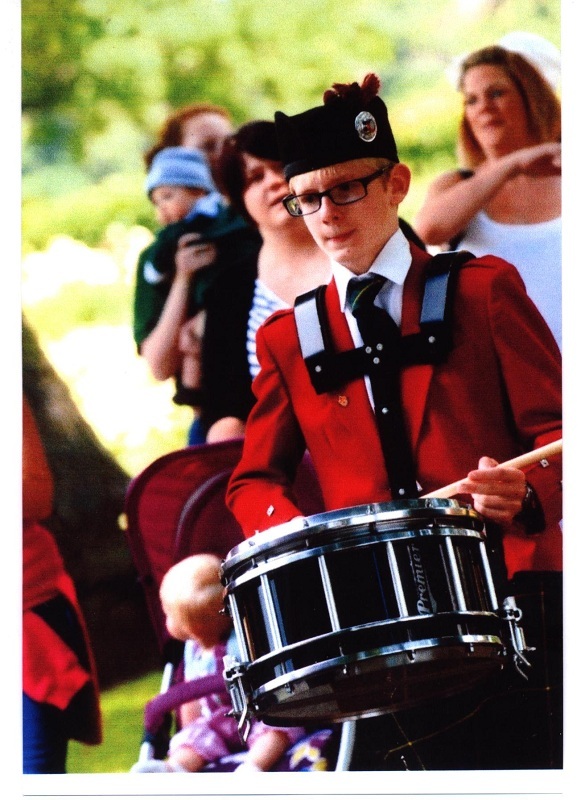 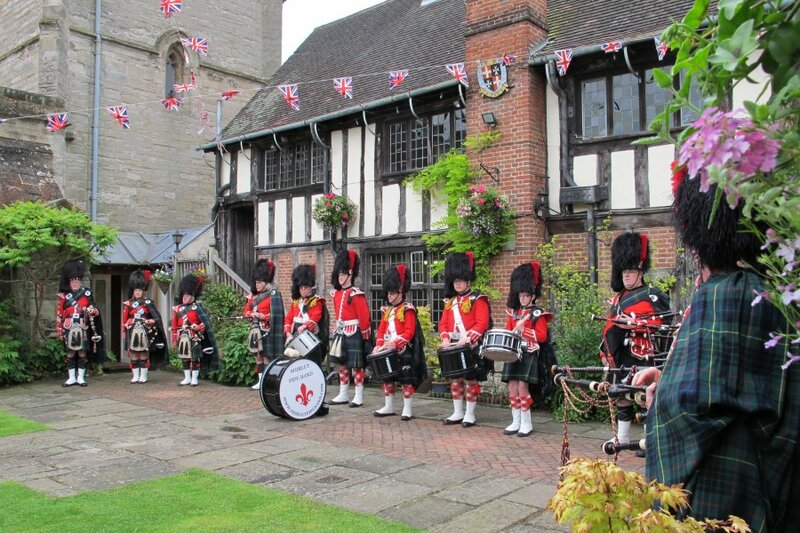 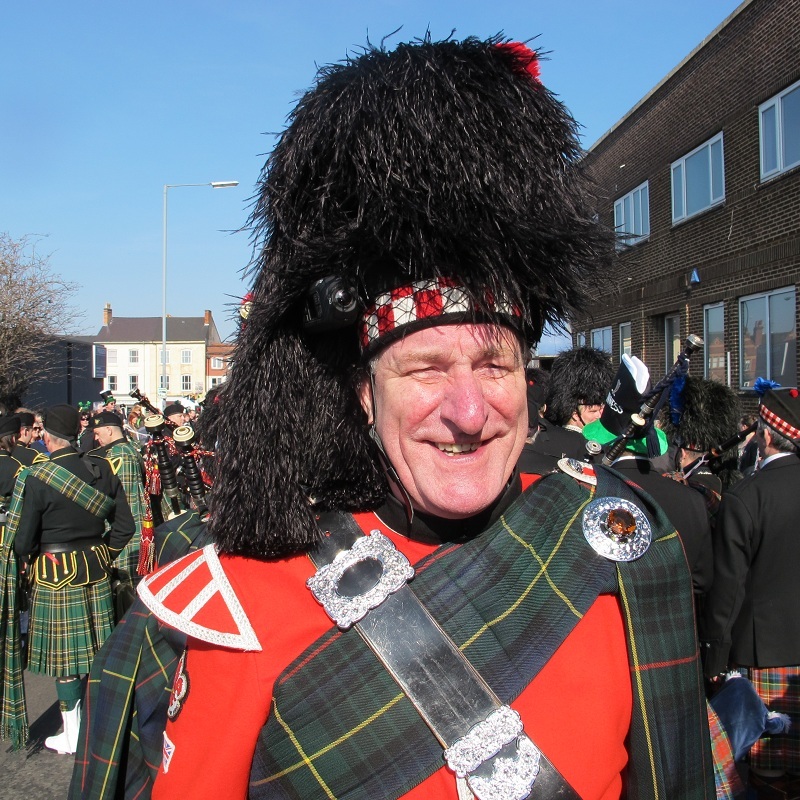 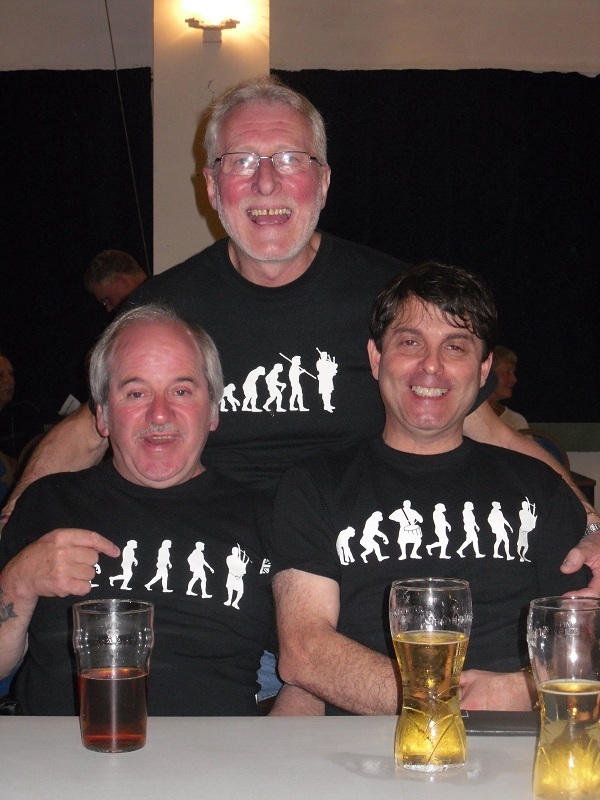 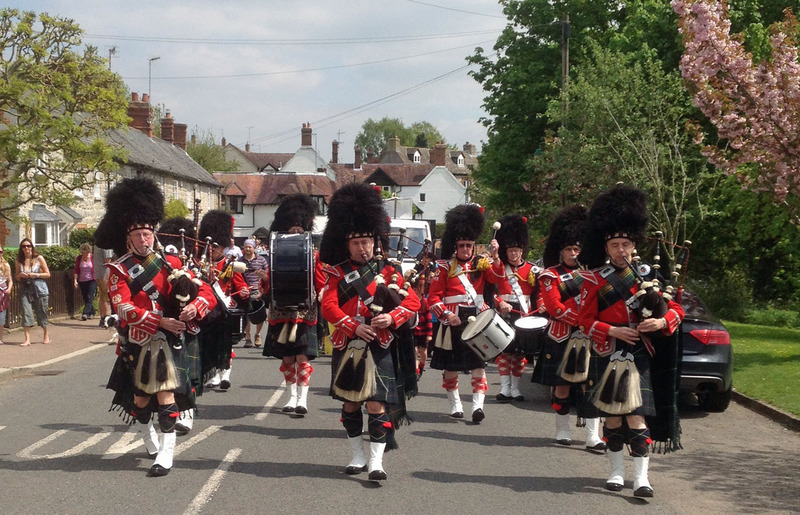 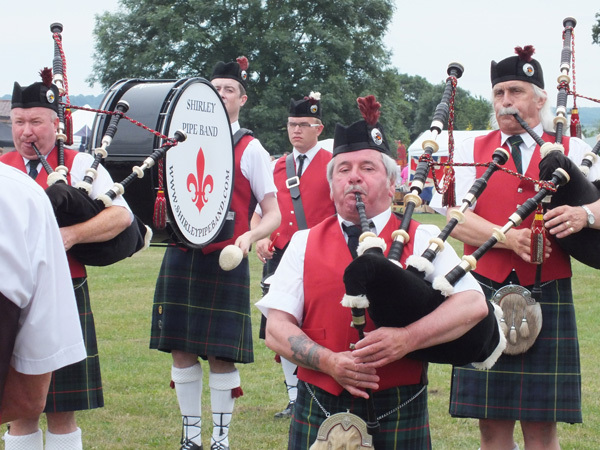 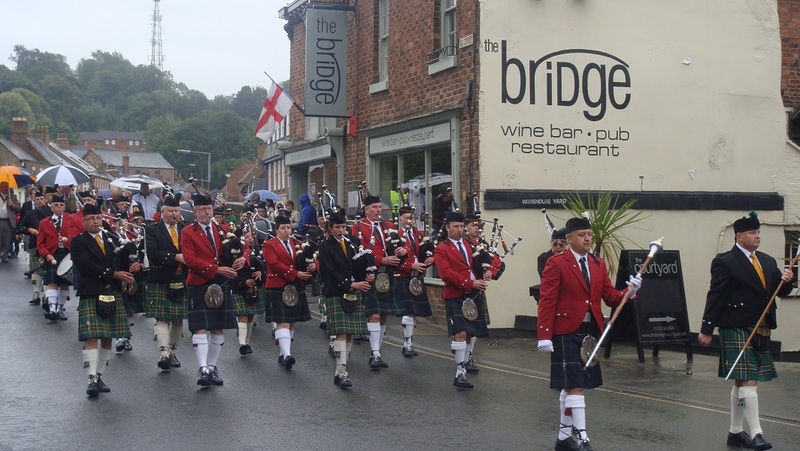 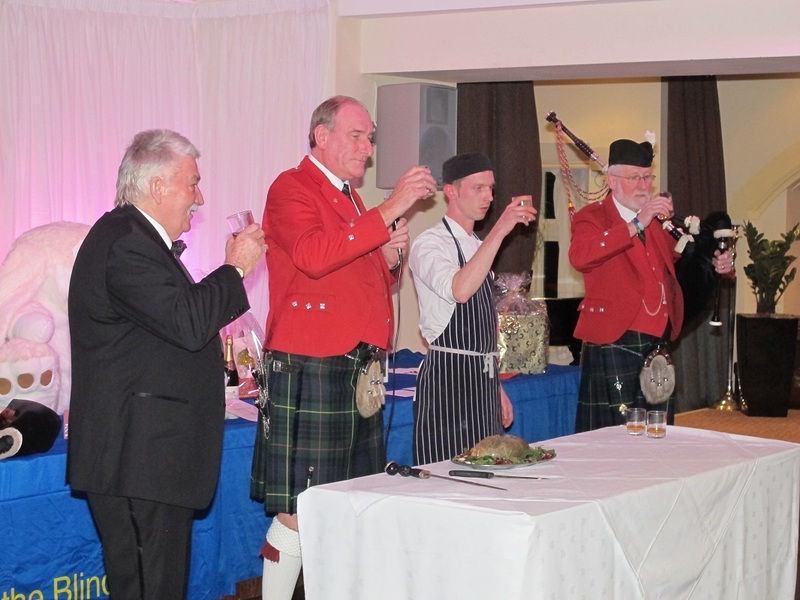 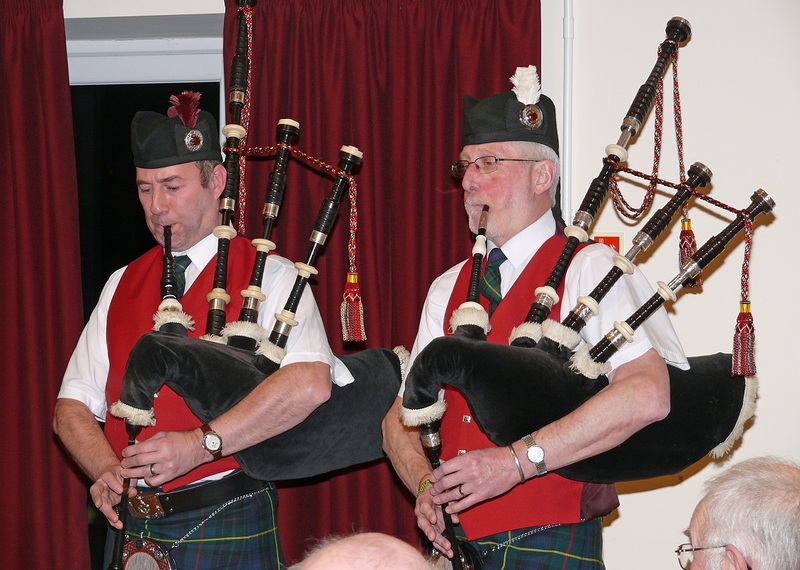 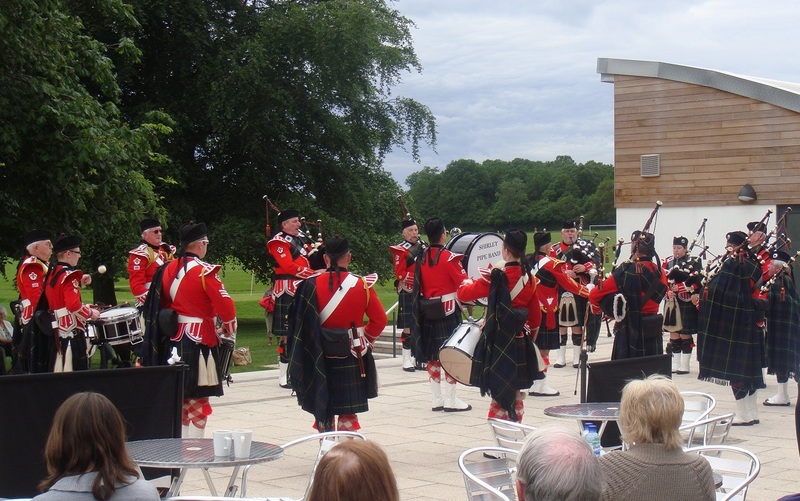 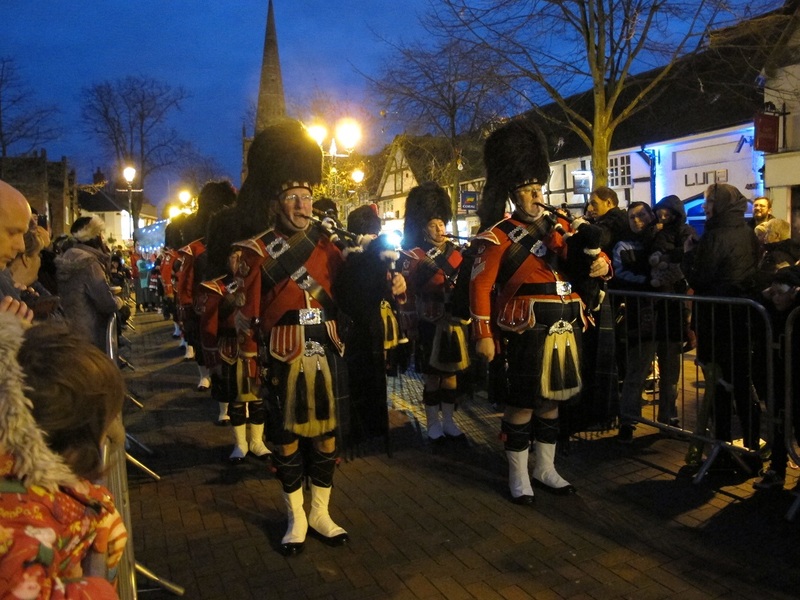 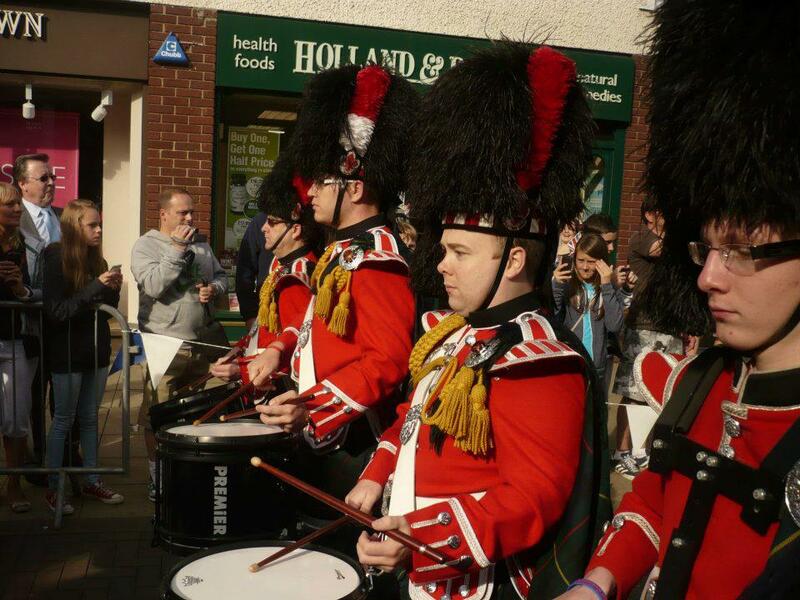 The playlist includes performances by Shirley Pipe Band and other bands participating that weekend, plus the Final� in which we provided soloists Jonathan Prior (pipes) and Tom Taverner (side drum). 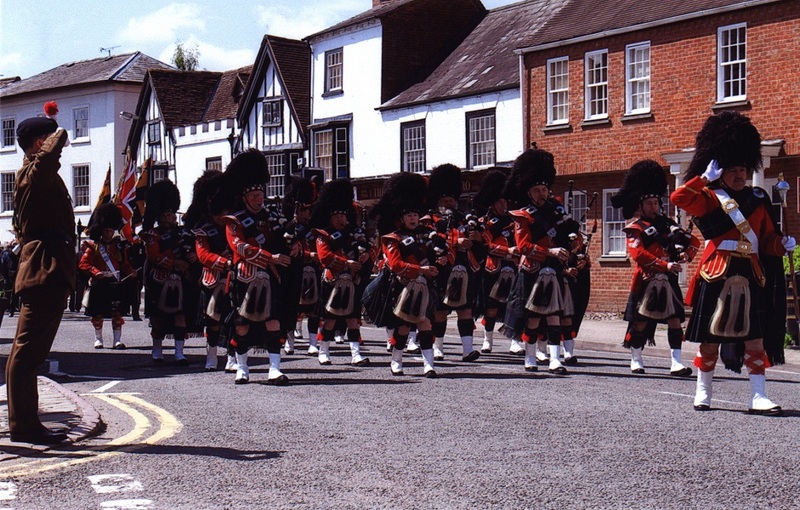 If your broadband is reasonbly fast, try increasing the resolution / quality via the "cog" icon at bottom right of the image. 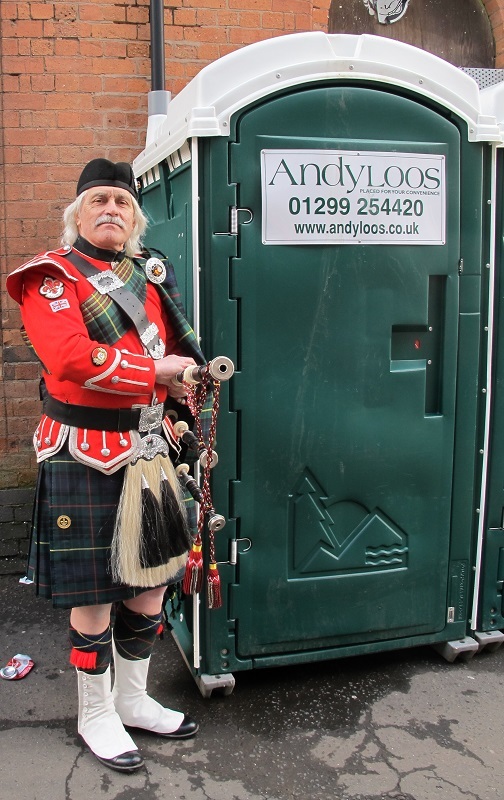 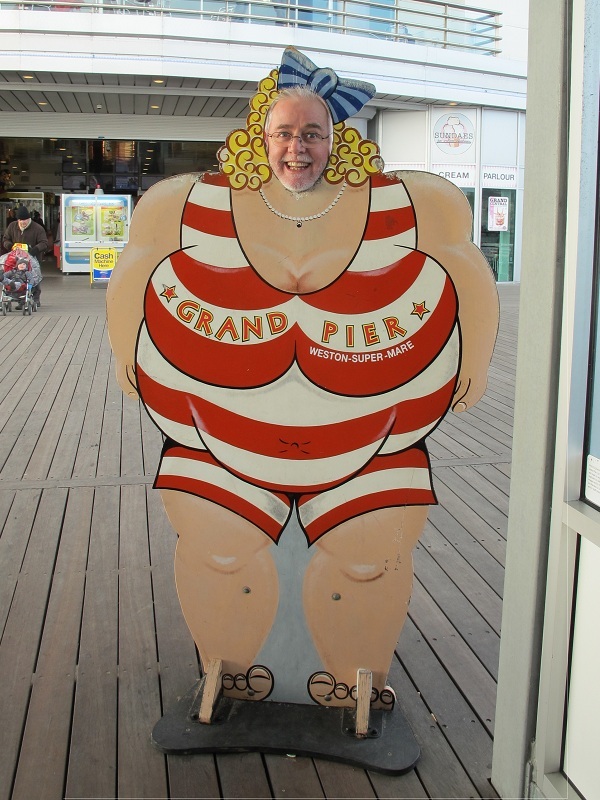 Killing time at Weston super Mare: Andy Walker proves the diet is working! 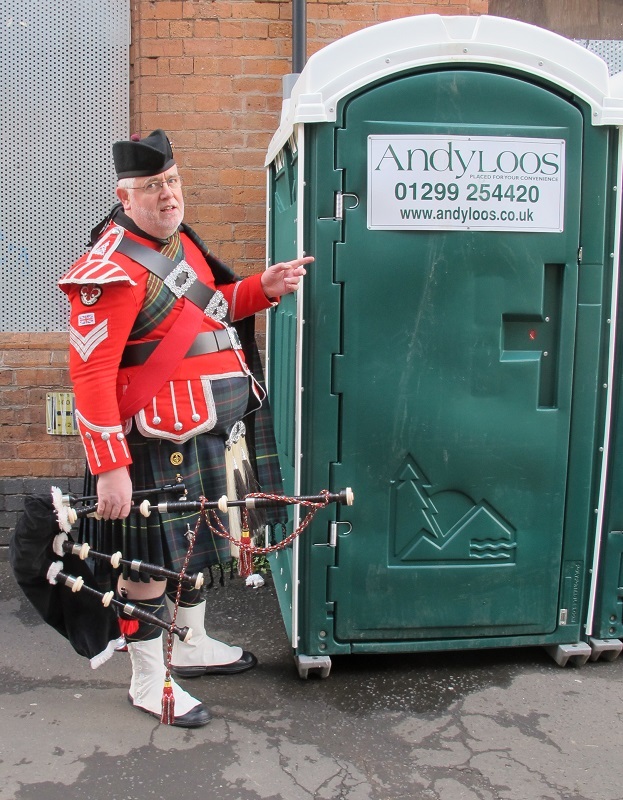 Future recruit? 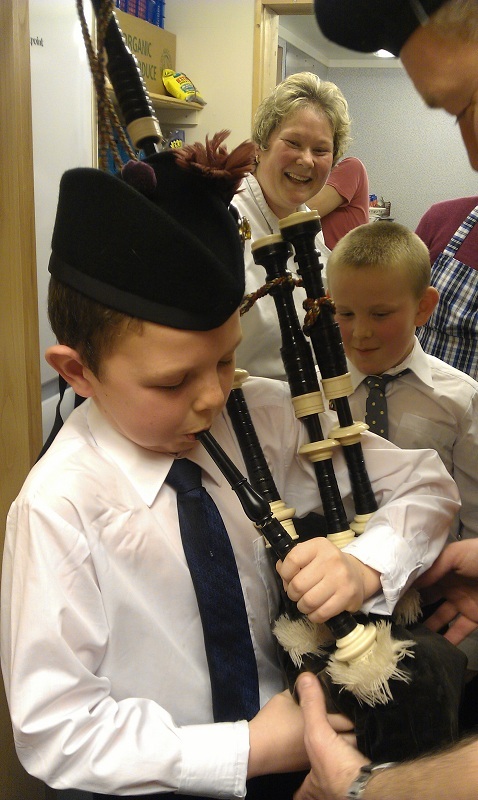 : John McGee helps a young waiter to play his first note. 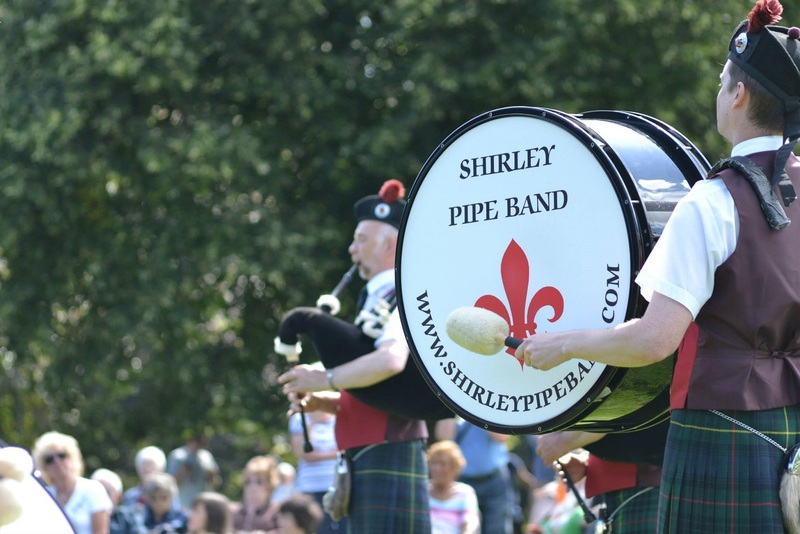 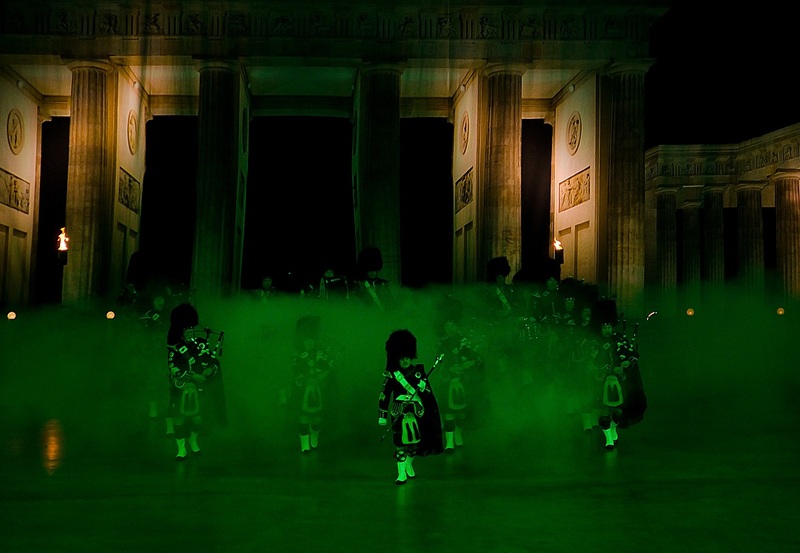 Holding the Shield: John Cadman (Pipe Major) holds shield inscribed "1962 - 2012 - Shirley Pipe Band - Congratulations on your 50th Anniversary - from the people of Burtle"
Start of Shirley Pipe Band performance: Drum Major Keith Murphy leads Pipe Major John Cadman and Pipe Sergeant Jonathan Prior out of the mist.